Perhaps the only person who was really prepared for Stephen Jay Gould's death was Mr. Gould himself. Twenty years ago the scientist, who died yesterday at the age of 60, had a life-threatening bout of cancer. Many readers will remember the way he wrote about that episode, not only for its personal candor but also for the fact that he found comfort in a statistical analysis of his chances of survival. It was wholly in keeping with the tenor of Mr. Gould's character that he could turn an understanding of statistics into a toehold on life itself. It was also in keeping that he chose to write about it for a popular audience. The vast majority of the people who know Mr. Gould's name know him as a scientific essayist, not as a paleontologist or evolutionary theorist, let alone an expert on Cerion land snails. They know him as a man who had an opinion on nearly everything and a way to turn nearly every opinion he had into a tour de force of analogy and historical example. His scientific colleagues found him almost as brilliant as his popular audience did, but considerably more exasperating as well. He was never a scientific bomb-thrower; he worked, after all, in the heart of the scientific establishment. But he delighted in small explosions, and he never hesitated to set them off when he thought it would do a discipline good. His belief that evolution moved in leapsin punctuated equilibrium, to use his phraserather than slowly and continuously struck off far more heat than it might have if Mr. Gould had not reveled in the role of controversialist. That was his evolutionary niche. A man with so many opinions is bound, pretty often, to be wrong, but Mr. Gould could be just as entertaining when he was wrong as when he was right. That was another reason he exasperated his colleagues, that and the fact that he came to stand for science itself in the minds of many lay readers. How his work will play in the years to come remains to be seen, of course. His scientific achievements are solid, and he has done everything possible to throw light on the subjects that mattered to him. And if some of that light, just on the off chance, fell on Mr. Gould himself, it is hard to begrudge him that now. Stephen Jay Gould, the evolutionary theorist at Harvard University whose research, lectures and prolific output of essays helped to reinvigorate the field of paleontology, died yesterday at his home in Manhattan. He was 60. The cause was cancer, said his wife, Rhonda Roland Shearer. One of the most influential evolutionary biologists of the 20th century and perhaps the best known since Charles Darwin, Dr. Gould touched off numerous debates, forcing scientists to rethink sometimes entrenched ideas about evolutionary patterns and processes. One of his best known theories, developed with Niles Eldredge, argued that evolutionary change in the fossil record came in fits and starts rather than a steady process of slow change. This theory, known as punctuated equilibrium, was part of Dr. Gould's work that brought a forsaken paleontological perspective to the evolutionary mainstream. Dr. Gould achieved a fame unprecedented among modern evolutionary biologists. He was depicted in cartoon form on "The Simpsons," and renovations of his SoHo loft in Manhattan were featured in a glowing article in Architectural Digest. Outside of academia, Dr. Gould was almost universally adored by those familiar with his work. In his column in Natural History magazine, he wrote in a voice that combined a learned Harvard professor and a baseball-loving everyman. The Cal Ripken Jr. of essayists, he produced a meditation for each of 300 consecutive issues starting in 1974 and ending in 2001. Many were collected into best-selling books like "Bully for Brontosaurus." Other popular books by Dr. Gould include "Wonderful Life," which examines the evolution of early life as recorded in the fossils of the Burgess Shale, and "The Mismeasure of Man," a rebuttal to what Dr. Gould described as pseudoscientific theories used to defend racist ideologies. Dr. Gould was born on Sept. 10, 1941, in Queens, the son of Leonard Gould, a court stenographer, and Eleanor Gould, an artist and entrepreneur. Dr. Gould took his first steps toward a career in paleontology as a 5-year-old when he visited the American Museum of Natural History with his father. "I dreamed of becoming a scientist, in general, and a paleontologist, in particular, ever since the Tyrannosaurus skeleton awed and scared me," he once wrote. In an upbringing filled with fossils and the Yankees, he attended P.S. 26 and Jamaica High School. He then enrolled at Antioch College in Ohio, where he received a bachelor's degree in geology in 1963. In 1967, he received a doctorate in paleontology from Columbia University and went on to teach at Harvard, where he would spend the rest of his career. But it was in graduate school that Dr. Gould and a fellow graduate student, Dr. Eldredge, now a paleontologist at the American Museum of Natural History, began sowing the seeds for the most famous of the still-roiling debates that he is credited with helping to start. Studying the fossil record, the two students could not find the gradual, continuous change in fossil forms that they were taught was the stuff of evolution. Instead they found sudden appearances of new fossil forms (sudden, that is, on the achingly slow geological time scale) followed by long periods in which these organisms changed little. Evolutionary biologists had always ascribed such difficulties to the famous incompleteness of the fossil record. But in 1972, the two proposed the theory of punctuated equilibrium, a revolutionary suggestion that the sudden appearances and lack of change were, in fact, real. According to the theory, there are long periods of time, sometimes millions of years, during which species change little, if at all. Intermittently, new species arise and there is rapid evolutionary change on a geological time scale (still interminably slow on human time scales) resulting in the sudden appearance of new forms in the fossil record. This creates punctuations of rapid change against a backdrop of steady equilibrium, hence the name. Thirty years later, scientists are still arguing over how often the fossil record shows a punctuated pattern and how such a pattern might arise. Many credit punctuated equilibrium with promoting the flowering of the field of macroevolution, in which researchers study large-scale evolutionary changes, often in a geological time frame. In 1977, Dr. Gould's book "Ontogeny and Phylogeny" drew biologists' attention to the long-ignored relationship between how organisms developthat is, how an adult gets built from the starting plans of an eggand how they evolve. "Gould has given biologists a new way to see the organisms they study," wrote Dr. Stan Rachootin, an evolutionary biologist at Mount Holyoke College. Many credit the book with helping to inspire the new field of evo-devo, or the study of evolution and development. Dr. Gould and Dr. Richard Lewontin, also at Harvard, soon elaborated on the importance of how organisms are built, or their architecture, in a famous paper about a feature of buildings known as a spandrel. Spandrels, the spaces above an arch, exist as a necessary outcome of building with arches. In the same way, they argued, some features of organisms exist simply as the result of how an organism develops or is built. Thus researchers, they warned, should refrain from assuming that every feature exists for some adaptive purpose. In March, Harvard University Press published what Dr. Gould described as his magnum opus, "The Structure of Evolutionary Theory." The book, on which he toiled for decades, lays out his vision for synthesizing Darwin's original ideas and his own major contributions to macroevolutionary theory. "It is a heavyweight work," wrote Dr. Mark Ridley, an evolutionary biologist at University of Oxford in England. And despite sometimes "almost pathological logorrhea" at 1,433 pages, Dr. Ridley went on, "it is still a magnificent summary of a quarter-century of influential thinking and a major publishing event in evolutionary biology." Dr. Gould was dogged by vociferous, often high-profile critics. Some argued that his theories, like punctuated equilibrium, were so malleable and difficult to pin down that they were essentially untestable. After once proclaiming that Dr. Gould had brought paleontology back to the high table of evolutionary theory, Dr. John Maynard Smith, an evolutionary biologist at University of Sussex in England, wrote that other evolutionary biologists "tend to see him as a man whose ideas are so confused as to be hardly worth bothering with." Sometimes these criticisms descended into accusations that were as personal as intellectual. Punctuated equilibrium, for example, has been called "evolution by jerks." Some who study smaller-scale evolution within species, called microevolutionists, reject Dr. Gould's arguments that there are unique features to large-scale evolution, or macroevolution. Instead, they say that macroevolution is nothing more than microevolution played out over long periods. Dr. Gould also had heated battles with sociobiologists, researchers using a particular method of studying animal behavior, and there are many there who reject his ideas as well. An entertaining writer credited with saving the dying art form of the scientific essay, Dr. Gould often pulled together unrelated ideas or things. (He began one essay by noting that Abraham Lincoln and Charles Darwin were born on the same day.) A champion of the underdog (except in his support of the Yankees), he favored theories and scientists that had been forgotten or whose reputations were in disrepair. Dr. Gould also popularized evolutionary ideas at Harvard, sometimes finding his lecture halls filled to standing-room only. But while his adventures typically took place in the library, colleagues said that Dr. Gould, whose specialty was Cerion land snails in the Bahamas, was also impressive in the field. Noting that in graduate school Dr. Gould dodged bullets and drug runners to collect specimens of Cerion and their fossils, Dr. Sally Walker, who studies Cerion at the University of Georgia, once said, "That guy can drive down the left side of the road," which is required in the Bahamas, "then jump out the door and find Cerion when we can't even see it." Then, she recalled, this multilingual student of classical music and astronomy and countless other eclectia might joyously break out into Gilbert and Sullivan song. Dr. Gould is survived by his wife; his mother; his two sons from a previous marriage, Jesse Gould of Cambridge, Mass., and Ethan Gould of Boston; his stepson, Jade Allen of Gainesville, Fla.; and his stepdaughter, London Allen of Manhattan. His previous marriage, to Deborah Lee of Cambridge, ended in divorce. Dr. Gould had an earlier battle with cancer in 1982. When abdominal mesothelioma was diagnosed, he reacted by dragging himself to Harvard's medical library as soon as he could walk. In a well-known essay titled, "The Median is not the Message," he described discovering that the median survival time after diagnosis was a mere eight months. Rather than giving up hope, he wrote that he used his knowledge of statistics to translate an apparent death sentence into the hopeful realization that half those in whom the disease was diagnosed survived longer than eight months, perhaps much longer, giving him the strength to fight on. "When my skein runs out, I hope to face the end calmly and in my own way," he wrote. However, "death is the ultimate enemyand I find nothing reproachable in those who rage mightily against the dying of the light." He survived the illness through experimental treatment, but died of an unrelated cancer, in a bed in his library among his beloved books. Whether eloquently and forcefully championing new or forgotten ideas or dismantling what he saw as misconceptions, Dr. Gould spent a career trying to shed light on an impossibly wide variety of subjects. He once wrote, "I love the wry motto of the Paleontological Society (meant both literally and figuratively, for hammers are the main tool of our trade): Frango ut patefaciamI break in order to reveal." e-Skeptic for May 20th 2002. Instead I'll provide some general commentary along with a few excerpts from a forthcoming paper I have written analyzing Gould's work. Steve told me about this latest bout with cancer back in March, and I was amazed at his stamina and strength when, after having brain surgery on Monday, May 1, I spoke with him at his home in Cambridge four days later. He had just finished giving a lecture at Harvard! This cancer was a totally different type than the one he had back in the early 1980s. He was symptom free and went in for a routine check-up in February when they discovered a couple of masses in his lungs. Further investigation revealed that he also had tumors in his brain, and "something going on with the liver," he said. As he characteristically told me back then, "we're still in the data-collection stage, no conclusions yet." Spoken like a true scientist. Steve seemed hopeful the past couple of months, but I could hear in his mother's voice the past few weeks that the end was coming soon. We can only rejoice in the fact that he lived long enough to see his magnum opus, The Structure of Evolutionary Theory, published and widely reviewed. Still, his death was something of a shocker because I just spoke with his family on Saturday morning, and they were bringing him home that afternoon to spend the rest of his days there. I got the impression that there were weeks to go. As Gould himself might have said, life is so very fragile and contingent. "I can only beg your indulgence and ask you to understand an asymmetry that operates cruelly (since it produces tension and incomprehension) but that leads to an ineluctable (however regrettable) result. The asymmetry: you want an hour or two, perhaps a day, of my timenot much compared to what you think I might provide (exaggerated, I suspect, but I won't struggle to disillusion you). From that point of view, I should complynot to do so could only be callousness or unkindness on my part. But now try to understand my side of the asymmetry: I receive on average (I promise that I am not exaggerating) two invitations to travel and lecture per day, about 25 unsolicited manuscripts per month asking for comments, 20 or so requests for letters of recommendation per month, about 15 books with requests for jacket blurbs. I am one frail human being with heavy family responsibilities, in uncertain health and with a burning desire (never diminished) to write and research my own material. Thus, I simply cannot do what you ask. I can only beg your understanding and extend to you my sincere thanks for thinking of me." I wrote a chapter on Punctuated Equilibrium ("The Paradox of the Paradigms") in The Borderlands of Science, and one on Gould's emphasis on contingency in evolution ("Glorious Contingency") in How We Believe. There is an interview with Gould in Skeptic, Vol. 4, #1. I thought I would share with you an excerpt from a paper I have written on Gould's work, soon to be published in Social Studies of Science, entitled "This View of Science: Stephen Jay Gould as Historian of Science and Scientific Historian." It is an attempt to tease out deeper meaning on Gould's work through a quantitative content analysis of his writings. The original material for this was compiled for the Festschrift we held for Gould at Caltech last year. This is the section on his 300 consecutive essay streak in Natural History magazine (figures not included). Enjoy. And adieu Steve. We'll miss you. Stephen Jay Gould has often stated that his two heroes (other than his father) are Joe DiMaggio and Charles Darwin. Darwin, of course, makes regular appearances in most of Gould's publications, but DiMaggio crops up now and again as well. For a 1984 PBS NOVA special on Gould, he and his son spent an afternoon playing catch with DiMaggio on a ballpark in the Praesidio of San Francisco during which they discussed, of course, Gould's favorite topic of evolutionary trends in life, as well as baseball, including the Yankee Clipper's 56-game hitting streak. A few years later Gould wrote about this "Streak of Streaks," in which he demonstrated through a fairly sophisticated statistical analysis why DiMaggio's 56-game hitting streak was so beyond the expectation of a player even as talented as DiMaggio that it should never have happened at all. It was inevitable, then, that Gould's own streak in science writing would be compared favorably to that of Jolt'n Joe's. Gould's Natural History column began in January, 1974 with an 1880-word essay on "Size and Shape," and ended (appropriately considering Gould's interest in calendrics and the calculation of the millennium), in the December/January, 2000/2001 issue with a 4,750-word essay entitled "I Have Landed." In 27 years Gould wrote approximately 1.25 million words in 300 essays. The shortest essay was "Darwin's Dilemma" in 1974 at 1,475 words, and the longest (not counting four two-parters, the longest of which was 10,449 words) was "The Piltdown Conspiracy," in 1980 at 9,290 words, for an overall average of 4,166 words. Tracking the length of the essays over time shows that Gould reached his career average by the early 1980s and found his natural length of about 5,000 words by the early 1990s. The late 1990s saw his columns become not only longer (with several six and seven thousand word essays) but more convoluted with multiple layers of complexity. Much has been made of Gould's literary style, particularly in the essays, which intermingle scientific facts and theory with a large dollop of high- and pop-culture references, foreign language phrases, poetic and literary quotations, and especially biblical passages. Most praise Gould for this third-culture style that links science to the humanities, but his critics se something more sinister in the process. In his deconstruction of Gould's essays, for example, John Alcock calls this an "ostentatious display of erudition" injected to persuade "many a reader that he is an erudite chap, one whose pronouncements have considerable credibility thanks to his knowledge of foreign languages and connections with Harvard. By advertising his scholarly credentials, Gould gains a debater's advantage, which comes into play when he contrasts his erudition with the supposed absence of same in his opponents." To prove his point Alcock took "a random selection of 20 Gouldian essays" in which he found "nine with at least one word or phrase in German, Latin, or French." Thumbing through the essays in Ever Since Darwin, Alcock "found that five of 30 contained quotes from Milton, Dryden, and other literary masters." Setting aside the insoluble question of how many literary references and foreign language phrases are acceptable in scientific prose, a thorough analysis of all 300 essays reveals precisely how often Gould utilized these tools in his essays. The foreign phrases total includes Latin (16), French (9), German (6), and Italian (1). Not included in this count were such commonly used phrases as natura non facit saltum ("nature does not make leaps," a phrase used often in nineteenth-century natural history and the subject of an entire essay by Gould), or such everyday expressions as raison d'etre. Included were such phrases as ne plus ultra ("the ultimate"), Nosce te ipsum ("Know thyself"), Mehr Licht ("More light"), Plus 'a change, plus c'est la meme chose ("the more things change, the more they remain the same"), and the one Alcock complained about, Hier stehe ich; ich kann nicht anders; Gott helfe mir; Amen, Martin Luther's fervent cry of defense for his heresy: "Here I stand; I cannot do otherwise; God help me; Amen." In 300 essays written over the course of 27 years, a grand total of 32 foreign language phrases were employed, amounting to barely 10 percent of the total, or only one in ten essays. If this is a conscious strategy on Gould's part to gain "a debater's advantage," he does not utilize it very often. Gould's literary references are more frequently employed than foreign phrases at 119 total, with the Bible (53) outnumbering the next three most quoted of Gilbert and Sullivan (21), Shakespeare (19), and Alexander Pope (8) combined. Again, there are no objective criteria on how many literary references are appropriate in scientific discourse, but we can nevertheless discern whether Gould is using them as a strategy to win arguments and wow readers, or if he is trying to make his point through as many avenues available for written prose. Not surprising (given Gould's admitted leftist upbringing), Karl Marx is often quoted. "Men make their own history, but they do not make just as they please" is used three times, but his favorite is this classic line from the Eighteenth Brumaire, quoted no less than seven times: "Hegel remarks somewhere that all great, world-historical facts and personages occur, as it were, twice. He has forgotten to add: the first time as tragedy, the second as farce." The context in which these quotations appear reveal, in fact, that Marx is used by Gould not for show or even for any political or ideological purpose, but directly to bolster his philosophy of science and to reinforce two themata that appear throughout his worksthe interaction between contingencies and necessities and the nonrepeatability of historical systems (time's arrow versus time's cycle). "In opening The Eighteenth Brumaire of Louis Bonaparte," Gould notes in one essay, Karl Marx captured this essential property of history as a dynamic balance between the inexorability of forces and the power of individuals." Even Marx's title, Gould explains "is, itself, a commentary on the unique and the repetitive in history. The original Napoleon staged his coup d'tat against the Directory on November 9-10, 1799, then called the eighteenth day of Brumaire, Year VIII, by the revolutionary calendar adopted in 1793 and used until Napoleon crowned himself emperor and returned to the old forms. But Marx's book traces the rise of Louis-Napoleon, nephew of the emperor, from the presidency of France following the revolution of 1848, through his own coup d'tat of December 1851, to his crowning as Napoleon III. Marx seeks lessons from repetition, but continually stresses the individuality of each cycle, portraying the second in this case as a mockery of the first." To drive home the point Gould finishes this thought with a recommendation for scientists to heed the lesson: "This essential tension between the influence of individuals and the power of predictable forces has been well appreciated by historians, but remains foreign to the thoughts and procedures of most scientists." Lives are too rich, too multifaceted for encompassing under any one perspective (thank goodness). I am no relativist in my attitude towards truth; but I am a pluralist in my views on optimal strategies for seeking this most elusive prize. I have been instructed by T. H. Clark and his maximally different vision. There may be no final answer to Pilate's inquiry of Jesus (John 18:30), "What is truth? "and Jesus did remain silent following the question. But wisdom, which does increase with age, probes from many sides "and she is truly a tree of life to them that lay hold upon her." Gould's intellectual pluralism is evident in his literary diversity, and he has chosen many strategies for communicating his answer to Pilate's question. I write of cladistics � And baseball statistics � From dodos and mandrills � To friezes and spandrels � I write Essays thematical � Always grammatical � Asteroids, sesamoids, � Pestilence tragical � Ratites, stalactites � And home runs DiMaggical � I write of Cranial capacity � Owen's mendacity � Huxley's audacity � Galton's urbanity � FitzRoy's insanity � How Ernest Haeckel, without an apology � Faked illustrations about embryology. Diversity is the watchword of this polymathic tradesman, but is there a cladistic pattern from which we may discern a literary bauplan? As it is for the evolutionary theorist, taxonomy is the key to teasing out meaningful signals from the background noise, and Figure 6 presents the results of a complete classification of all 300 essays into primary, secondary, and tertiary subjects in 13 different categories. Starting with the lowest figures we see that Gould almost completely neglects to include both his personal hobbies such as baseball and music, as well as his intellectual child punctuated equilibrium. He dabbles in ecology and environmental issues, touches on geology and the social and behavioral sciences, and, of course, cannot ignore (but does not dwell on) his own trade of paleontology (and its relations paleobiology and paleoanthropology). Obviouslyconsidering the publication in which the essays are foundnatural history, zoology, and biology are regularly featured, even if only on the secondary or tertiary level, and since the essay genre is, by definition, personal, Gould does produce a fair amount of social commentary, but predominantly at the tertiary level. What is surprising in this graph is the overwhelming dominance of evolutionary theory and the history of science/science studies, comprising 55 percent of the total. Although the personal nature of essays suggest they need not be taken as seriously as, say, major peer-reviewed journal articles and monographs, clearly Gould is using them to a larger purpose involving not only his interest in theory and history, but as an avenue to generate original contributions to and commentary on both. And it would seem from this graph that Gould is, first and foremost, an evolutionary theorist. Or is he? To explore this question further, Figure 7 shows the 13 subject categories collapsed into five, highlighting only the primary subjects. What is Gould primarily interested in writing about in his essays? While evolutionary theory and the history and philosophy of science once again dominate (comprising 75 percent of the total), they have flip-flopped in dominance from the totals in Figure 6. That is, the history of science and science studies (which includes philosophy of science) now overwhelm all other subjects, nearly doubling evolutionary theory and almost totalling more than all other categories combined. What is going on here? What is Gould up to when he blends the history and philosophy of science and science studies with evolutionary theory? Part of an answer can be found in an analysis of Gould's historical time frame, and especially in Figure 8 that presents a breakdown of Gould's essays on the history and philosophy of science by primary, secondary, and tertiary emphasis. Out of the 300 essays a remarkable 220 (73 percent) contain a significant historical element, with half (109) in the nineteenth century and nearly a third (64) in the twentieth. Since Gould's primary historical interest is the history of evolutionary theory we should not be surprised by this ratio since the last two centuries have been the theory's heyday. Yet it is also important to note that the history of evolutionary theory is bracketed in Figure 8 by the philosophy of science on the right and the relationship between culture and science on the left. All other interests pale by comparison, revealing Gould's intense interest in the interaction of history, theory, philosophy, and culture. For Gould they are inseparable. Doing science also means doing the history and philosophy of science, and as a historian and philosopher of science Gould is intensely interested in the interaction between individual scientists and their culture. This is why there are in these 220 historical essays, no less than 76 significant biographical portraits, a number of which include original contributions to the historical record. For example, Gould conducted a thorough analysis of Leonardo's paleontological observations and his theory of the earth as presented in the Leicester Codex, showing that he was no out-of-time visionary but was instead deeply wedded to the pre-modern world-view of the sixteenth century. Gould's work in the history of science can also be seen quantitatively in the annual Current Bibliographies of the History of Science Society journal Isis. Although some years are sparse, such as 1991 and 1992 with just three references each and 1997 with only two, other years show Gould outpublishing all other historians with, for example, 24 references in 1986, 16 references in 1988, and 12 in 1989. Gould's overall average reference rate in the Isis Bibliography indexes between 1977 when his first two books were published and 1999 is 7.34 (169 references in 23 years). The only names with more references are historical figures, and among these only the most prominent have more, such as Aristotle, Kant, Goethe, and Newton. No other historian comes close to Gould in generating this much history of science, and these figures, conjoined with the rest of this analysis, supports Ronald Numbers' equation of Gould with Kuhn as one of the two most influential historians of science. Gould is one of those rare scientists who fully appreciates that the past is not always "just history" and that many problems in science cannot be conceptualized correctly unless one escapes the intellectual straitjacket of prevailing scientific mythologies. In this sense scientists are actually influenced by history all the time, even though they often disdain the subject as a waste of time. "The textbook legends they fashion around their scientific heroes are value-laden visions of the world that often limit the possibility of weighing reasonable alternatives," as Gould has emphasized about the history of geology. Thus doing the history of science is, for Gould at least, an essential part of doing good science. Doing good science is also an essential part of doing good history, a deeper theme that runs through this analysis. The two are inseparable for Gould. Stephen Jay Gould, 60, a Harvard University professor of zoology and geology who became one of the most widely recognized scientists in the world for his graceful, lucid and downright entertaining writings about science, died of lung cancer May 20 at his home in New York. Dr. Gould, a Harvard professor since 1967, gained fame among contemporary scientists as a gifted and controversial student of evolutionary biology, and he conducted notable research in invertebrate paleontology. He became famous for his modification of some of the theories of Charles Darwin. The general public came to know him for his explanations of scientific phenomena that were as understandable as they were authoritative. He wrote more than 20 best-selling books and 300 consecutive monthly essay columns, "This View of Life," for Natural History magazine from 1974 until 2001. His books included "Ever Since Darwin: Reflections in Natural History," "Bully for Brontosaurus: Reflections in Natural History," "Wonderful Life: The Burgess Shale and the Nature of History," "Dinosaur in a Haystack: Reflections in Natural History," "Hen's Teeth and Horse's Toes: Further Reflections in Natural History" and "Rocks of Ages: Science and Religion in the Fullness of Life." In 2001, he published "The Lying Stones of Marrakech." Earlier this year, Dr. Gould published "The Structure of Evolutionary Theory," his major scientific work that ran to more than 1,460 pages. Harvard President Lawrence H. Summers issued a statement observing that the world of science had "lost a brilliant scholar whose research helped redefine our notion of who we are and where we came from." He added that Dr. Gould "was also a gifted teacher who brought important scientific ideas vividly to life for his students and for the wider public." Andrew Knoll, a Harvard University colleague of Dr. Gould's, called him "paleontology's public intellectual." Dr. Gould introduced his readers to complicated and thought-provoking scientific topics in breezy prose that drew on analogies from art, sports, history and entertainment. His scientific work and writings resulted in a slew of awards. He received a MacArthur Foundation Fellowshipor "genius" awardthe first year they were given. He also received a National Book Award, the London Zoology Society's Silver Medal and the Medal of Edinburgh. His book "The Mismeasure of Man," a study of intelligence testing, won the National Book Critics Circle Award. In 1981, he was named "scientist of the year" by Discover magazine. And perhaps even more impressively, it was reported that Harvard students packed his lectures on geology, biology, zoology, and the history and philosophy of science. Among scientists, he was known as a champion of the theory of "punctuated equilibria," which maintains that evolution is not a long and gradual process, but rather one that comes in sudden spurts after long stretches of little or no change in an organism. Dr. Gould, the author of a thousand scientific papers, was a champion of the use of statistics to examine evolution and other scientific matters. He also became known as a philosopher of science and as a champion of teaching evolution in the classroom, and he was a world-class authority on the fossil land snails of Bermuda. Perhaps all of these factors resulted in his starring in an episode of "The Simpsons" on the Fox network, in which he portrayed himself. In addition to the usual appearances on talk and news shows, Dr. Gould was featured on Ken Burns's PBS series on baseball and in 1982 appeared on the cover of Newsweek. And in addition to science pieces, he had written an appreciation of Joe DiMaggio for the Associated Press when the Yankee Clipper died in 1999. But he will be best remembered for his scientific thoughts penned for general readers. An example of this can be found in "The Panda's Thumb," the book for which he won a 1981 National Book Award. In attempting to explain the life and times of a variety of mite, he wrote: "Fifteen eggs, including but a single male, develop within the mother's body. The male emerges within his mother's shell, copulates with all his sisters and dies before birth. Another of his engaging essays used as its taking-off point the fact that Abraham Lincoln and Charles Darwin may have been born the same day. Other writings used the Piltdown Man hoax, baseball and candy bars as starting points. Dr. Gould was the perfect writer to illustrate the wonder and mysterious beauty of science with the use of other areas of knowledge. He was a multilingual scholar of sciences from astronomy to zoology. He sang in choirs, and his musical tastes ran from classical music to Gilbert and Sullivan. Perhaps strangest of all, he was a famously ferocious fan of the New York Yankees who lived in the heart of the enemy, the Boston Red Sox. Dr. Gould was born in New York, where as a young child visiting the American Museum of Natural History he was enchanted by by the sight of a 20-foot reconstructed dinosaur. He once wrote that as he and his father left the museum, he announced that he was going to be a paleontologist when he grew up. He was a 1963 geology graduate of Antioch College in Ohio and received a doctorate in paleontology from Columbia University in 1967. He immediately joined the Harvard faculty as an assistant professor of geology and assistant curator of invertebrate paleontology. He was promoted to associate professor of geology and associate curator of invertebrate paleontology in 1971 and professor of geology and curator of invertebrate paleontology in 1973. In 1982, he was named the Alexander Agassiz Professor of Zoology. His writing, teaching and research may have come together in a statement in his 1977 book, "Ever Since Darwin," in which he wrote: "Science is not a heartless pursuit of objective information. It is a creative human activity, its geniuses acting more as artists than as information processors." A brilliant scientist who can write beautifully is an unusual creature, almost an evolutionary impossibility. It's like a flying horse, or a talking shark. Nature usually is sparing when it hands out talent and specializations. Stephen Jay Gouldwho died of lung cancer yesterday at the age of 60was a prize example of a very rare breed. Gould was a professor at Harvard, a longtime columnist for Natural History magazine, the author of numerous bestsellers, and a dependably feisty public intellectual. He did not suffer fools gladly; he pummeled them in print. Like his hero Lou Gehrig, he was a durable figure, filing a monthly column for 27 years before signing off finally at the millennium. Even when stricken with a usually fatal form of cancer 20 years ago, and devastated by chemotherapy, he insisted on meeting his deadline. "When I'm writing, it's the only time I don't feel pain," he told his editor. His interests were seemingly infinite, though Darwin and baseball were probably the top two. Gould had one of those brains that can burrow deeply into an abstruse scientific debate but suddenly pop to the surface in the middle of Fenway Park. He could write perceptively about Italian church architecture, or the prejudicial misuses of IQ tests, or the decline of the .400 hitter, but his scientific specialty was the evolutionary history of land snails in the West Indies. As they say on the diamond, he could hit to all fields. "He was a really wonderful explainer of science to the nonscientific public. Most scientists who do that simplify everything almost to the point of telling lies. Steve never did that," his Harvard colleague Richard Lewontin said yesterday. Gould liked to mix it up, particularly with anyone who dared suggest that evolution was a simple, deterministic, progressive, linear process that started with a primitive microbe at one end and ran through jellyfish and trilobites, reached mammals and monkeys, and finally culminated triumphantly with a square-jawed businessman holding a briefcase. Time and again, Gould attacked that classic image of the "march of evolution." His version of evolution was messier. It had jerks and spasms. It went backward and forward and sometimes fell over sideways. In 1972, he and his colleague Niles Eldredge offered a modification of traditional Darwinian theory, something they called "punctuated equilibria." The evolution of species wasn't always smooth and steady, they argued, but rather could occur in rapid bursts, shaped by historical chance. Some people see the world as divinely created, and others perceive it as the result of an orderly, rather logical natural process. But for Gould, this was a planet of accidents, of lucky breaks, of biological lotteries. If you started the whole process over from scratch, he argued, you'd wind up with something totally different. For example, you almost surely wouldn't wind up with Harvard professors. That gave him a powerful theme for one of his most successful books, "Wonderful Life: The Burgess Shale and the Nature of History." The title was a play off the Jimmy Stewart movie in which an angel shows bankrupt, suicidal George Bailey how radically altered the world would be without him. Gould deftly argues that all of biological history is like that, that a little accident here or there would have radically changed the course of life on Earth. Even if you didn't buy Gould's argument (he was rather strict, almost bullying in his no-progress, everything's-a-lottery pronouncements), you had to admire a guy who could connect Jimmy Stewart to some 500-million-year-old fossils. He could talk on almost any subject but sometimes would graciously decline. A few years ago, a Washington Post reporter asked Gould to speculate on the possibility of intelligent life beyond Earth. Gould said simply, "No data." Gould's politics were solidly left of center. He forcefully argued against the teaching of creationism in schools, a position that drew a great deal of fire. His book "The Mismeasure of Man" is perhaps the most influential critique of racist theories in the study of human intelligence. Critics sometimes called him a Marxist. Gould tangled with many of his prominent contemporaries. He detested anything that looked like a tidy evolutionary explanation for something as complex as human behavior. You can't reduce everything to natural selection, Gould argued. It's never that simple. Some things in life, he said, are like the spandrels of an Italian churcha kind of leftover, accidental architectural feature, utterly purposeless. But make no mistake: He loved life. He was dazzled by it. From an early age, he wanted to make some small contribution to the understanding of life. In his final column for Natural History, he said the continuity of life on Earth for 3.5 billion years, through planetary cataclysms and ice ages, is "most worthy of pure awea metaphorical miracle, if you will." He was something of a miracle himself. Stephen Jay Gould, Harvard's outspoken and often controversial paleontologist whose groundbreaking work on evolutionary theorycoupled with his award-winning writingsbrought an expanded world of science to thousands of readers, died this morning in Manhattan of metastasized lung cancer. He was 60. Gould, along with Niles Eldredge, a paleontologist at the New York's Museum of Natural History, developed an evolutionary theory called "punctuated equilibrium," where long periods of evolutionary stability are broken by shorter spurts of evolutionary change, perhaps sparked by external events such as climate change or the impact of a comet. The theory contrasts with more traditional evolutionists, who believe evolution is a slow, steady process occurring at a nearly constant rate. Gould, the Alexander Agassiz Professor of Zoology, spent his professional career at Harvard. He wrote widely on topics ranging from baseball to the Piltdown Man hoax to the Sept. 11 tragedy. He appeared on the cover of Newsweek in 1982 and has been called by colleagues "the bulldog of evolutionary biology" for his outspoken advocacy of his views. Jeremy R. Knowles, dean of the Faculty of Arts and Sciences, said, "Steve Gould was a star in Harvard's firmament. He was an intellectual and a scholar who inspired our students in lectures, and who wrote with a wonderfully engaging lucidity for the wider public. The world is a sadly duller and a less informed place, without him." Richard Lewontin, Alexander Agassiz Research Professor of Zoology and research professor of biology, was a friend and colleague of Gould's for 25 years; they taught a course on evolution together. "Steve's importance was two-fold. He was very creative and original in his studies of evolution. He was an expert at taking new discoveries and applying them to an understanding of evolution. Steve had a good feeling for the complexity and variation involved in evolution. He never tried to simplify it to a cartoon," said Lewontin. Andrew Knoll, Fisher Professor of Natural History at Harvard, said, "Steve Gould always seemed larger than life. His ideas, powerful and commonly controversial, inspired Ph.D. theses for three decades. I'm not sure he ever thought a small thought in his life. At the same time, Steve was a wonderfully warm man who loved teaching, cared deeply about his family and friends, and, not least, took his music very seriously. On a personal note, Steve was one of my teachers, and a friend and colleague for 20 years. It's hard to imagine Harvard without him - I will miss him tremendously." Gould's research has focused on invertebrate paleontology, specifically the growth and form of land snails. His work has brought him frequent honors, including the Schuchert Award for excellence in paleontological research for a paleontologist under age 40 in 1975. Gould has received many honors over the years, including more than 40 honorary degrees from institutions as varied as Rutgers University, the University of St. Andrews in Scotland, and his alma mater, Antioch College. Among his other accolades, he was named "Scientist of the Year" by Discover Magazine in 1981, received the Medal of Excellence from Columbia University in 1983, the Silver Medal from the Zoological Society of London in 1984, and the Gold Medal for Service to Zoology from the Linnean Society of London in 1992. He received recognition from the national associations of both biology and geology teachers, and, in 1997, the Distinguished Scientist Award from the UCLA Committee for the Study and Early Evolution of Life. Gould's writing has made his a household name. He has published many volumes of books as well as hundreds of essays in national newspapers and magazines on any of a host of scientific topics. He received the National Book Award in 1981 for "The Panda's Thumb," the National Book Critics Circle Award in 1982 for "The Mismeasure of Man," the Phi Beta Kappa Book Award in Science for both "Hen's Teeth and Horse's Toes" in 1983, and "Wonderful Life" in 1990. He received the Rhone-Poulenc Prize in 1991 for "Wonderful Life" and the Golden Trilobite Award for excellence in paleontological writing from The Paleontological Society. Gould's most recent book, "The Structure of Evolutionary Theory" (2002), is a 1,433-page opus that took him more than 20 years to complete. At a reading and booksigning at the Harvard Museum of Natural History shortly after its publication, he said that when he was diagnosed with cancer in 1982 he believed he had "almost zero chance of finishing it." Gould is survived by his second wife, Rhonda Roland Shearer, and by his two children from his first marriage, Jesse and Ethan. A memorial service open to the public will be held next week in New York City, though the place and time are yet to be determined. A memorial service also will be held at Harvard sometime in September. Stephen Jay Gould is dead. He died Monday morning of cancer. In his life, he was many things: a Harvard professor, a baseball fanatic, an enthusiastic singer of oratorio, an outstanding evolutionist, and above all the greatest science writer of his generation. Young people of all ages, in America and elsewhere, have grown up on Gould's scintillating monthly essays, published without break for twenty-five years, in the magazine Natural History. They have been charmed and intrigued and stimulated and excited. The have themselves been turned to science, realizing that there is simply nothing more worthwhile than trying to puzzle out the mysteries of the creation around and within us, and that the true miracle of life is that grubby little primates like us humans can find out so much about the universe and its inhabitants. Steve Gould was born in 1941, so he died just past 60. This is far too young, but for twenty years he was living on borrowed time. Just past the age of 40, Gould had fallen sick with a particularly virulent form of stomach cancer, and typical of everything he did in life he fought back and conquered. I knew him quite well. We had in 1981 been fellow witnesses for the ACLU in a successful fight in Arkansas to push back a Creationist lawa law insisting that the children of the state be taught Genesis taken literally alongside the truths that we are descended, by a slow natural process, ultimately from blobs, up through fish, reptiles and finally (our most recent ancestors) from ape-like creatures. At the trial, Gould had been (to put matters politely) somewhat on the chubby side, and a year later he was but a wraith. Yet his spirit was unchanged, and all he wanted to do was to argue and discuss and push the conversation forward. He was uninterested in himself and his health except as an object of science. But although Gould has gone too soon, he has gone with his life fulfilled. Earlier this month, he published the last and final collection of his essays. The title I Have Landed was taken from the diary of his immigrant grandfather, as he arrived at Ellis Island. Now, alas, the title refers also to Gould's own fate. Although the word "alas" is surely misplaced. Gould has truly landed, but what a flight! For month in and month out, as he explored the mysteries of nature, he delighted us with poetry in prose. Why is it that the zebra is striped, and should we think of it as a black animal with white stripes or a white animal with black stripes? In how many different ways do animals get from A to B, and why is it that no one seems to have invented the wheel? What did the eminent, nineteenth-century morphologist E Ray Lankester get up to when he took his frequent but unreported trips to Paris? How did the Jesuit Teilhard de Chardin get mixed up in the Piltdown Hoax, and did he know more about the bogus ape-man than he should have done? Why are there no 400 hitters today, and will the Red Sox ever again win the World Series? Even more important than his essays, in March Gould published his magnum opus: The Structure of Evolutionary Theory. Mixing history with science, science with literature, literature with religion, and much more, for over 1400 pages Gould explained the theory for which he is rightly known as a scientist"punctuated equilibrium," the belief that the course of fossil history is not smooth and regular but jerky and contingent and unpredictable. The jury is still out on whether his ideas will prove of truly lasting value, but this one can say. No one, for the past thirty years, has been as successful as Stephen Jay Gould in making professional evolutionists rethink and reexamine their dearly held premises. As often is the case, the gad-fly was not always welcomed but he was always respected. I am proud to have known Steve Gould and to think that we were friends. But I want to end my appreciation on another note. For all his great achievements and successes, these were not the most important things in the life of Stephen Jay Gould. More significant by far was the fact that he never put pen to paperactually, he wrote everything on the same, old-fashioned, manual typewriterwithout a burning moral concern. His essays and books were always powered by a hatred of dishonesty and prejudice and hypocrisy. Gould wrote eloquently against racism and sexism and every other vile "ism" in the book. And more significant by far is what Gould represented and was able to achieve. He was rightly proud that he came from a humble background. His dad was a court reporter. He was even more proud that he (although not a formal believer) came from a Jewish family that had come to the New World in search of a better life for themselves and their children. Gould's favourite line was the exclamation of an aged relative on hearing his intended profession was paleontology. "And that's a job for a nice Jewish boy?!" That a nice Jewish boy was able to become a Harvard professor, the recipient of over a hundred honorary degrees, a member of the National Academy of Sciences, and much more, tells us something good about the country to which his ancestors set sail. Stephen Jay Gould, one of the world's most famous evolutionary biologists, died of cancer yesterday aged 60. Gould's accessible and entertaining writing made him the public face of evolution, while his provocative ideas stirred up academic debate. Gould's powers as a popularizer made him famous beyond science. In 1982 he appeared on the cover of Newsweek. And in 1997 he attained the ultimate mark of contemporary celebrity�a cameo on The Simpsons. Gould authored more than 20 books. Nine are collections of essays, culled from the monthly column in Natural History magazine that he wrote for 25 years. These essays centered on evolution, but often used examples from art, history and baseball - a lifelong passion. His longer works include the award-winning Wonderful Life, on the fossils of the Burgess Shale, and The Mismeasure of Man, a critique of intelligence testing. Born in New York City in 1941, Gould did his PhD in palaeontology there, at Columbia University. In 1967 he moved to Harvard University, where he stayed for the rest of his life. His core research was on fossil land snails in the Caribbean. Gould was a great believer in evolution's unpredictability. If the tape of life were rewound and played again, he wrote, a quite different set of organisms would probably succeed. He criticized the belief that evolution comes up with the best, or only, solution to a biological problem. He emphasized evolution's tendency to cobble together from available materials, or to put something that evolved for one purpose to a different use. One of his books was named after a favourite example, the panda's thumb. This formed from the bones of the hand to help the bear eat bamboo, but is much less mobile than the true primate thumb. Gould's philosophy put him at odds with many fellow biologists. "The word I'd use is exasperating," says Paul Harvey of the University of Oxford. "Every time you came up with a good general rule, Steve loved to take it apart with little anecdotes. "At the same time, he was great fun. He wouldn't let us be self-satisfied - evolutionary biology will be less interesting without him," says Harvey. Gould's best-known contribution to evolutionary theory is called punctuated equilibrium. This states that most evolution occurs in short bursts, interspersed with long periods of stasis. Gould published the theory in 1972 with palaeontologist Niles Eldredge, now at the American Museum of Natural History in New York. Gould and Eldredge attacked the idea that organisms continually change, adapting by small degrees to fit their environment. The fossil record, they pointed out, shows that most species change little after their first appearance. New species appear in large numbers over short periods, perhaps because of dramatic events such as asteroid impacts. The theory sparked a long-running debate and much research. Most biologists now believe that the true pace of evolutionary change is probably somewhere between gradual and jerky. Gould's final large book, published earlier this year, sums up his life's work and his view of evolution. The Structure of Evolutionary Theory is nearly 1,500 pages long, and was more than 20 years in the making. At the age of 40, Gould was diagnosed with abdominal mesothelioma, a rare and incurable cancer that is usually associated with exposure to asbestos. He wrote about the disease, undertook experimental treatments, and campaigned for the medical use of marijuana. Gould is survived by his second wife and two children from his first marriage. Stephen Jay Gould, a famed paleontologist and popular writer on evolution, died Monday of cancer at his home in New York City. A pudgy polymath who wrote knowledgeably on topics ranging from biology to baseball to medieval architecture, Gould, 60, was celebrated for his battles with creationists and some fellow scientists. His and associate Niles Eldredge's controversial theory of "punctuated equilibrium" depicted organisms evolving in relatively rapid spurts, separated by long periods in which they changed little or hardly at all. Alternately cherubic and gruff, Gould was addicted to work. He lectured at Harvard on April 5, four days after undergoing brain surgery. His last book, published in March, was as thick as a New York telephone directory. Gould's loss is a disaster for the public understanding of science, Gould's admirers said Monday. In 1996, "we lost (space scientist and science popularizer) Carl (Sagan), now we've lost Steve," said Eugenie C. Scott, executive director of the National Center for Science Education in Oakland. "Really, no communicator of their quality has stepped up to fill those boots. It's a sad time for the public understanding of science." 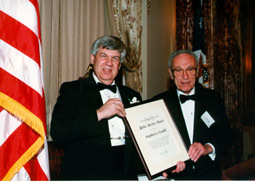 In 2001, the Library of Congress listed Gould among 83 "Living Legends" who represent the "quintessentially American ideal of individual creativity, conviction, dedication, and exuberance." Gould's 1981 book, "The Mismeasure of Man," attacked pseudoscientific notions of intellectual and behavioral differences among the races and sexes, partly by retelling the sordid history of similar claims over the past two centuries. Gould was the son of left-leaning New York Jews: "I learned my Marx at my father's knee," he once remarked. He also became a lifelong New York Yankees fan. 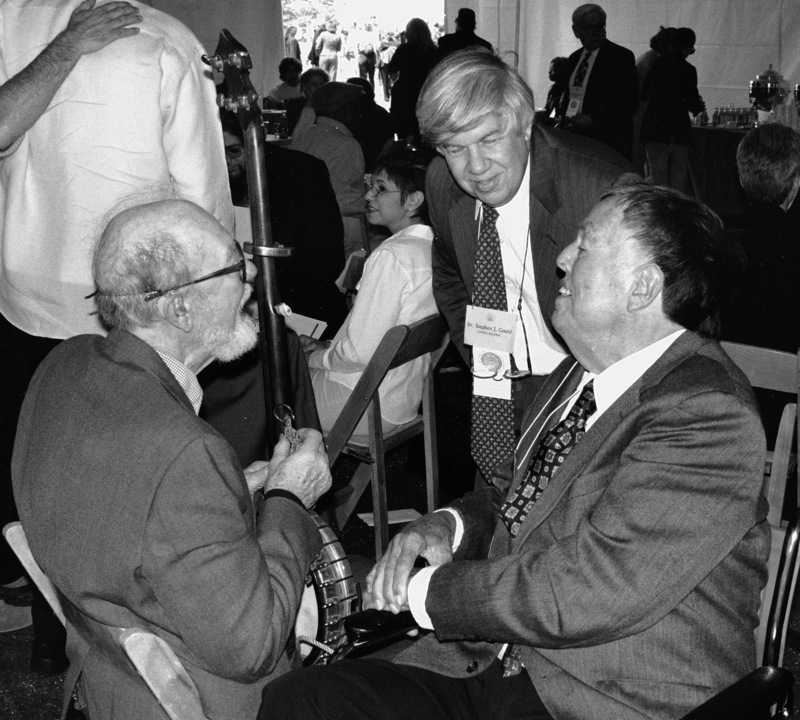 Whenever UC Berkeley paleontologist Kevin Padian met Gould, "we couldn't get down to talking science until we had first gone through all the baseball news of the day," Padian recalled Monday. "He was simply what you would call a menscha guy who thinks about the common man," Padian recalled. Still, the pressure of publicity and controversy sometimes irritated Gould. Gould was "kind of mercurial," Scott recalls. "There were times when he was absolutely charming and courteous and would just sign autographs forever. And there were times when he could be very blunt and rude . . . and you never quite knew which you were going to get." Gould died from a form of lung cancer, adenocarcinoma, that had spread to his brain, two decades after he survived a battle with a different type of cancer, abdominal mesothelioma. Death came in his beloved Soho apartment, a former toy factory. He jammed it with books from floor to ceiling and accessed the higher books via a rolling ladder with wheels. Gould championed the image of evolution as a highly chancy affair, in which a given eventsay, the emergence of human intelligenceresulted from an improbable concatenation of biological factors. Declining to write on a computer, he pounded out his numerous books and essays (many of which he wrote for Natural History magazine) on a rickety manual Remington typewriter. Reading one of Gould's books could be like meandering through a wondrous museum with numerous side trips to a library, art gallery and history department, accompanied by an ebullient tour guide who knew everything about snails and trilobites, yet sprinkled his conversation with quotes from naturalist Charles Darwin, 18th century poets, the Russian anarchist Kropotkin and Victorian scientists such as Thomas Huxley. Gould's friend Michael Shermer, a columnist for Scientific American who lives nears Los Angeles, cited Gould's "huge legacy" for paleontology. "He has changed his own field dramatically, changed it from a 'stamp- collecting,' dry-as-dust, fossil-counting type of science to a dynamic, evolutionary-based kind of science where these guys are actually studying (animal) behavior and change over time," Shermer said. "He was not a modest manand he himself said, 'I'm not a modest man' . . . (He saw) himself as one of the giants in (his field, and) I think he will probably go down as that, in the long run." Much of the scientific controversy over Gould's work concerned matters of definition. Few evolutionary theorists deny that evolution sometimes happens quickly and is a highly chancy affair. Rather, the key questions are: How quickly? and how chancy? Gould argued that some creatures undergo dramatic changes in shape and size over time periods of thousands of yearsperiods that are a blink of an eye, geologically speaking. He was furious when creationists misquoted his views in support of their belief in divine creation. Gould's survivors include his wife, Rhonda Roland Shearer, and two sons by his first wife. Chronicle news services contributed to this report. / E-mail Keay Davidson at kdavidson@sfchronicle.com. In 1980, the then-governor of the State of Arkansas, one Bill Clinton, was thrown out of office after just one term. Chastened, Mr. Clinton mended his fences and regained office in 1982, a position he held until 10 years later when he was elected President of the United States of America. The governor during the interregnum was a man whose unsuitability for office was equalled only by his surprise at gaining it. He had no hesitation in signing into law a bill that demanded that the children of the state be taught, in their biology classes, what its supporters referred to by the oxymoron "Scientific Creationism," and what is better known to the rest of us as the unfiltered, early chapters of the book of Genesissix days of creation, 6,000 years ago, Adam and Eve miraculously up from the mud, and a worldwide flood a few years later when God grew disappointed with the product. At once the American Civil Liberties Union (ACLU) sprang into action, challenging the validity of this law. It would be hard to imagine a more direct and blatant violation of the U.S. Constitution's separation of church and state. Genesis had to be shown to be religion and not science. At the same time, the alternative world picturethe world picture that claims that organisms including humans are the end products of a long slow process of evolutionhad to be shown to be science. But, who could speak for science at this time? One person above all stood out on everybody's list: Stephen Jay Gould of Harvard University. Prof. Gould was a provocative and much-regarded paleontologist. At the same time, he was one of the best-known science writers in America. Every month, a whole generation of readers eagerly took up the magazine Natural History, turning to Prof. Gould's column "This view of life," ready to be amazed, amused, annoyed, and above all appreciative of his fascinating disquisitions on the world of organisms around us. There was no one better able to explain evolutionary thinking and to defend the scientific approach. Thus it was that, at the end of 1981, Prof. Gould flew south to Arkansas to testify for the ACLU. And thus it was that I forged a friendship with one of the most remarkable people I have ever been privileged to know, for I too was a witness in Arkansas against the Creationist law, for the ACLU. At the time I was a professor of history and philosophy of science at the University of Guelph in Guelph, Ont., and, like Prof. Gould, I also had been called to testify on behalf of the science that we both loved. Steve Gould died earlier this week of cancer at his home in Manhattan. His last book, a collection of essays, was published at the beginning of this month. I Have Landed uses as its title a comment made in the diary of Prof. Gould's immigrant grandfather, on arriving in 1904 at Ellis Island. Now, it refers poignantly to Stephen Jay Gould's own life as his pen is laid down for the very last time. More precisely, as his manual typewriter, on which he composed everything, falls silent. But what a flight. As a scientist, Prof. Gould is best known for the theory of "punctuated equilibrium," formulated by him and his student Niles Eldredge. The theory is based on the claim that the history of life is not one of smooth unbroken change, progressing always in an orderly and controlled matter, but is rather one of continency and sharp breaks, as life moves in jumps from one form to another. With this, Prof. Gould also mounted a decades-long attack on the dominant evolutionary theory of Charles Darwin, that supposes that natural selection is the main cause of change and that the result is the highly adapted nature of all organisms. Again and again Prof. Gould challenged this view, arguing in his most notorious essay that much of life has no function, no purpose, and is at best a by-product of other forces, as are the functionless areas at the tops of columns in medieval churches"spandrels" that simply are, without intent or end. Earlier this year, Prof. Gould published his magnum opus The Structure of Evolutionary Theory, in which he gave a full and detailed defence of his thinking. Moving from history to science, from science to literature, from literature to religion, and then back from religion to history, he laid out his vision of the history of life and of its causal processes. Whether or not this vision endures, no one can deny the synthetic grasp of the author and the greatness of his imagination and intent. But there are many good and even great scientists. For me, what made Stephen Jay Gould a man above the ordinary was his ability to take science and to explain it to regular people. In person, he could be difficult and at times uncomfortably arrogant. Too often, he lost patience with questioners. But when writing, he was a man transformed. Never a hint of condescension. Never a hint of triviality. Never a hint of false modesty or trying to impress because he was an important man, more talented than most. Prof. Gould would take an object or an idea and draw it out, turn it over, cut it into parts, rebuild it, and all the time explain and connect and instruct. Why is the zebra striped, and is it a white animal with black stripes or a black animal with white stripesand who cares and why? How do animals (and plants, for that matter) go from A to B? Flying, walking, swimming, floating on air, slithering on the ground, swinging through the trees, and more. But why did they never invent the most efficient mode of transport of all, the wheel? (Or did they?) What was the Jesuit paleontologist Pierre Teilhard de Chardin up to at the time of the Piltdown Hoax? Could it be that one of the most revered figures of the 20th century was himself involved in the greatest fraud of the century? (You can imagine the squawks that that particular column brought on!) And so the ideas flowed forth and excited all who turned to his pages. What made Prof. Gould one of the most important cultural figures of our time was that he never wrote on anythingstarting with the snails on which he wrote his doctoral dissertationwithout showing his deep moral concerns. For him, there was no sterile distinction between fact and value. The practice of science for Steve Gould was a truly moral enterpriseusing our talents to make out the nature of realityand the product of science was likewise a force for good or ill. Throughout his life, he fought against racism and sexism and every other vile "ism" in the book. Born into a totally secular Jewish family, he had no formal faith, but for me he was the epitome of the truly religious man. He would appreciate the ironyhe knew more of the New Testament than most Christiansif I (a fellow non-believer) say that Stephen Jay Gould was the servant who used his talents wisely and found favour with his Lord. I do not want to end on a pompous or formal or sad manner, for above all else Steve Gould was fun. By the end of the third day of the Arkansas Creation Trial, it was clear that the ACLU and its evolutionists were on the way to a smashing victory. We started to relax, and that night at dinner we dined well and not particularly wisely. An angelic junior member of the law firm that was advising us broke into the beautiful hymn, Amazing Grace. Prof. Gould was a keen singer of oratorio and no voice was louder than his. We came to the line that speaks of worshipping God for 10,000 years. An idea a little too close for comfort. We drew to embarrassed silence, looking at each other. Then we started to laugh. It was a good moment. Michael Ruse is Lucyle T. Werkmeister Professor of Philosophy at Florida State University. Previously, he was professor of history and philosophy of science at Ontario's Guelph University. I can't remember for sure why he showed up in our lives for the first time, because in those days I was drunk and blown out on dope a lot of the timenot into noticing, if you know what I mean. I think what happened is that my wife went to a lecture he gave at the University of Maine, then dragged him home to fix him up with transportation when she discovered his flight back to Boston had been cancelled. It's the sort of thing she would have done. What I do remember is a smallish man with an aw-shucks, Will Rogers chuckle, a bit of a belly under a nondescript plaid Kmart sport shirt (slightly faded from repeated washing), and a forelock of graying hair that kept spilling into his eyes. It gave him a boyish look. Each time it fell, he'd push it absently back with a cupped hand. There was something boyish about the gaze that shot out from under the hair as well; it was brilliant and full of unapologetic curiosity. About everything. He was not superstitious but believed the Red Sox were a cursed team because the statisticswhich he could produceproved it. At home he kept a single sheet of yellow legal paper upon which his father had scored Don Larsen's perfect game in perfect straight lines, against the rule of the paper. He kept it in his study desk, upon which sat an ugly old manual typewriter that he cosseted like a child who is sickly but much loved. So far as I know, everything he wrote came out of his head via that typewriter. Once I wrote a vernacular version of the Book of Genesis (''The Street Kid's Genesis,'' I called it) and sent it to him. He wrote back about it at length, calling it a fascinating study of nomenclature. His enthusiasm, like his tumbling forelock, was a part of him. He added, almost in passing, that he did not believe in God. I told him that was fine, God believed in him, and he laughed his cheery laugh. ''I'm flattered to be part of the Eternal's belief system,'' he said. I sent him my books. He sent me offprints of the pieces he published in Natural History and those he sometimes wrote about the Red Sox, the Yankees, and the statistical underpinnings of baseball (the best of these was about the splendid improbability of Ted Williams's .406 batting average in 1941, and the likelihoodslim, in Steve's viewthat anyone would hit .400 again). We had baseball in common and one day wound up together on a panelalong with David Halberstam and who knows how many other notablesdiscussing the subject in Washington, D.C.
Steve and I flew back to Boston afterward on a little Lear 35a soup can with wings. The night was cold and perfectly clear. As we banked over the city, heading for the place over Boston Harbor where we would begin our final descent, Steve pointed out the lights belowall those straight lines, all those graceful arcs. It was his habit to pick up old conversationsyears old, sometimesas if they had never really stopped. In his fabulously unique mind, I am sure they never really had. ''And parallel ones, too,'' I replied. It wasn't the last time I saw him, but it's probably the one I remember best: discussing the lighted fingerprint of God at 10,000 feet over Boston. He was a man with a child's embrace of the questions. I'm glad that my life touched his life and am sorry that his light has gone out. Stephen King is the author of more than 50 books. This story ran on page A19 of the Boston Globe on 5/30/2002. Adam S. Wilkins, BioEssays 24 (2002): 863�864. On May 20th, Biology lost one of her best known, influential and controversial figures, the evolutionary biologist Stephen Jay Gould, who died of cancer, age 60. His death followed by only a few months the publication of his magnum opus, The Structure of Evolutionary Theory, a book that had been in the making for two decades. In its obituary, The New York Times hailed him as ��perhaps the best known [evolutionary biologist] since Charles Darwin��. That assessment is accurate but it does not even begin to hint at the multiplicity of paths by which he achieved such prominence. Professionally, he began life as a paleontologist and paleontology remained his scientific foundation. In addition, he remained a fine field biologist throughout his career. Yet, from his early thirties onwards, he added many other roles. These included: student of allometry and heterochrony; essayist and public educator; historian, philosopher and sociologist of science; scourge of both so-called ��Creationist Science�� and those who would misuse intelligence testing for political purposes; media star; and combative participant within the scientific community in various debates about evolutionary theory. Less visibly, he provided a key stimulus for the beginnings of modern evolutionary developmental biology, through his scholarly classic, Ontogeny and Phylogeny (1977). Comparably, a second book, his popular Wonderful Life (1989), brought a much wider recognition and discussion of the intriguing problems of animal origins posed by the Cambrian explosion than had existed previously. Given his range of interests and activities, it is hardly surprising that as a personality, he was equally protean, with virtues, contradictions and flaws in abundance. Depending upon your point of view, he was either a w�nderkind or an enfant terrible. Without question, he was a charter member of the Scientific Establishment (via his chair at Harvard, membership in the National Academy of Sciences, and presidency of the American Association for the Advancement of Science). Yet he seemed to see himself as an iconoclastic David, aiming his slingshot at the Goliath of scientific orthodoxy. He did not advertise his politics but they were clearly left-of-centre and he was reputedly both socialist, and more specifically, Marxist in his sympathies. Yet the lecture fees that he charged seemed to reflect a robust acquisitive instinct rather than a socialist one and his antipathy to ideas of deterministic historical outcomes and inevitable progress was most un-Marxian. Furthermore, the disjunction between the private and public Stephen Jay Goulds was equally striking. In private conversation, he was a good listener, straightforwardly modest about things he did not know about, and warm and supportive of persons and ideas about which he was enthusiastic. His love of life was palpable and his interest in and knowledge about nearly everything were legendary. The personal tributes to him, on the 25th anniversary of his Natural History column, ��This View of Life�� (see ��This view of Stephen Jay Gould��, Natural History, 1999; 108; 48-56) bear ample testimony to what a good friend and intellectual companion he could be. In his public appearances, however, he not infrequently came across as arrogant, bombastic, and highly self-congratulatory, the latter quality also appearing with irksome frequency in his writings. Furthermore, he was all to ready to saddle up his favourite hobbyhorses, sometimes when it was far from appropriate to do so. For instance, at the 1993 meeting at Trinity College in Dublin, to commemorate the lectures by Erwin Schro�dinger that became the basis of Schro�dinger�s book, What is Life, Gould used the occasion to depict Schrodinger as a typical product of the outmoded gradualist, progressivist mind-set that was Gould�s special bete-noir. This was not only inappropriate to the occasion but also far from accurate. Schro�dinger, in one of his essays, described why evolution should be expected to proceed, at times, in rapid bursts. Of course, what might be deemed the flaws of Gould�s public personality were integral to his success as a public educator. His arrogance and extroversion helped make him a lively, confident speaker whose enthusiasm for his subject was infectious. Had he spoken in the more conventional, neutered prose of the cautious academic, he never would have had the public impact that he did. He raised public awareness of and interest in evolutionary biology more successfully than anyone since T.H. Huxley, who, unsurprisingly, was one of his heroes. At the same time, his mode of presentation was highly irritating to many individuals in his community of peers, especially in Britain, several of whose most prominent evolutionary biologists virtually disdained him. They perceived him as a somewhat woolly thinker who had managed to punch above his intellectual weight, to fame and fortune, through sheer rhetorical fire-power. Though one of Gould�s themes was the influence of general cultural world-views on the shaping of scientific ideas, his own career may have illustrated how the cultural conditioning of one�s mode of expression�he was unambiguously American in his speaking style�might influence the way ideas are received. Sometimes the messenger is in danger of being shot because of the impression he makes, even before he delivers his news. The central difficulty that the reception of his ideas faced, however, stemmed from questions about their validity. Those ideas, in particular his and Niles Eldredge�s theory of punctuated equilibrium and the idea that species themselves are units of selection (the central thesis of The Structure of Evolutionary Theory) were highly controversial. With respect to punctuated equilibrium, one may even question whether the idea is a theory or simply a description of a pattern. Indeed, even if it should eventually be validated as a description of a general pattern, the nature of its genetic-evolutionary basis would become a pressing issue. Steve�s ideas on the latter subject were all over the place, although he never explicitly acknowledged the shifts in his position. Oddly, Ernst Mayr�s 1954 specific genetic hypothesis on why speciation may happen rapidly, which was and is a sensible (though still unproven) mechanism, and which Eldredge and Gould acknowledged as a key inspiration, was not given much attention by them. In addition, Gould�s portrayal of Neodarwinian theory as a highly deterministic view of evolutionary change was something of a straw man. Contingency, or chance, or stochasticity, call it what you will, is intrinsic to the Neodarwinian scheme of things. Though he tirelessly championed the importance of contingency, aka chance, in evolutionary history, he was, in reality, emphasizing what might be called Seriously Bad Luck as a factor in species survival. (Though the discoveries about mass extinctions were not his, his stress on their significance in shaping the course of evolutionary history was an important contribution.) As for the reality of species per se as units of selection, the questions of what constitute the precise causes and effects in species turnover remain highly contentious matters, to say the least. In light of these considerations, one cannot help but wonder how important a contributor to evolutionary theory he will be rated in the history of scientific thinking. That is impossible to predict, at this point, since reputations of ideas and persons in Science often rise and fall in unpredictable ways. (At the time of Darwin�s death in 1882, for instance, the theory of natural selection was widely regarded as a failure.) Nevertheless, even acknowledging that caution, the odds seemto be against History according Gould a major status as a theorist. Yet, in two respects, at least, he was tremendously important. First, he had a gift for directing attention to subject areas and possibilities that had been neglected. Simply to try to imagine what evolutionary biology during the past 30 years would have been like without him is to realise immediately the scope of his influence. Second, his contributions to the public�s awareness of and interest in evolution and in biology more generally are beyond doubt. One may also predict that fifty and 100 years from now, when the more grating aspects of his public persona are, at most, a dim cultural memory, manyof his essays will still have the capacity to give pleasure, enlightenment, and stimulation. In this respect, his reputation may well cometo resemble that of T.H. Huxley, whose role as public educator looms far larger today than his direct contributions to scientific thinking. Should Steve Gould�s place in the history of biology be based principally on that, that would still be a substantial, honourable, and important legacy. David B. Wake, Evolution, 56 (11), 2002, p. 2346. The death of Stephen Jay Gould in May 2002 brought to a close a remarkable career that made him the most widely known evolutionary biologist of his age. While his fame rests largely on the foundation of his columns in Natural History magazine and his public appearances, he made substantial contributions to evolutionary biology. His outstanding intellectual contribution was the demonstration that more than natural selection and genetic drift within populations is required to explain evolution. At the time of the centennial celebration of Darwin�s most famous book (Darwin 1859), a time for serious self-congratulation, only one contributor raised major objections to the prevalent and celebrated evolutionary synthesis. E. C. Olson argued that the vaunted explanations were incomplete (Olson 1960). I much remember these days, for I was a graduate student eager to become an evolutionary biologist. When I read Ernst Mayr�s book on animal species formation (Mayr 1963), I had a sinking feeling that everything had been done. Gould also came to intellectual maturity in the 1960s, but as a paleontologist. Paleontologists had numerous examples of dissenters from orthodoxy in addition to Dr. Olson (e.g., O. H. Schindewolf). Steve worked on fossil and recent snails, which preserve their ontogeny in their shells, and so quite naturally became thoroughly immersed in questions of growth and form. The New Synthesis, as many have noted, largely ignored development, but many of us knew that it was key to our understanding of the evolution of morphologies. This became the focus of Steve�s first great book, Ontogeny and Phylogeny(Gould 1977). This was not only a work of historiography, but also a successful attempt to demonstrate how ontogeny and phylogeny could be studied in a modern age. This book had a profound impact. I wrote a review for Paleobiology and distributed a draft to some colleagues and students who convinced me to organize a graduate seminar around the book. George Oster joined me and we attracted a talented group of students. Out of that seminar came a determination to formalize some of the concepts that Steve had presented, especially his ��clock-face model.�� When we asked Steve if he would like to join us in formalizing his model, he enthusiastically agreed, adding some important examples, and the publication of our paper (Alberch et al. 1979) spurred additional attention to the ontogeny/phylogeny issue. From this and related activity emerged a long series of workshops, discussions, and publications on development and evolution, a topic of intense current interest. During the 1970s Steve worked steadily to develop what I consider to be his most important legacy�a hierarchical theory of evolution. Natural selection was an insufficient explanation for the rich panoply of life on earth and its incredible history. Steve saw evolution as taking place on different tiers, or levels of organization, requiring different kinds of explanations. Bolstering his argument was his work, often with talented collaborators, on topics now widely familiar to evolutionary biologists�punctuated equilibrium, spandrels, constraints on direction of evolution, contingency, selection at the level of species, the role of mass extinctions, and, of course, production of form. He was not working in a vacuum, and many deserve credit for these developments, but he was, I believe, the most articulate and compelling of all, and he reached the greatest audience. He wrote so much on so many topics that I doubt any biologist could have agreed with him on everything, and there are some who disagreed with most of his writings aimed at the professional audience. For example, although I liked much of what he did, I could never accept his view of species and of species selection. Steve rarely paid much attention to phylogenetics. If he had, I think he would have given more attention to lineages and the more general, and to me more acceptable, idea of clade selection. This is a kind of selection that can occur at many levels, including that of species, and I believe that his notion of emergent fitness applies better to clades than to species. But however we might disagree, I think we should all credit Steve with making it respectable to pursue evolutionary questions at many levels of organization and from many explanatory perspectives. He was proud of his paleontological focus and an ardent supporter of the discipline, which he did so much to enliven, but he was much more than a paleontologist. My memory of Steve is indelibly tied to the celebration of diversity�diversity of approaches, of explanations, of organisms, and of people. He was a central figure in evolutionary biology for 30 years and made a permanent imprint on the field. Without doubt he inspired people in many walks of life to become interested in evolution, but his scientific legacy is far more profound�he changed the way many of us think about evolution and conduct our own research. 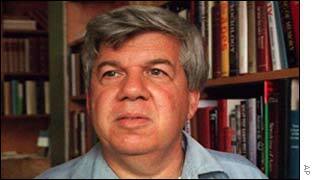 Stephen Jay Gould died this morning of cancer in New York City. I had breakfast at a restaurant in Boston with Steve two weeks ago. He had just had brain surgery. Two crescents were incised on opposite sides of his forehead where tumors had been removed, separated by an elegant ridge of silver hair. Oddly enough, this mohawk hairdo looked great on Steve and I told him so. He was in what can only be described as a state of grace. He was happy, lucid, and utterly without illusion about his situation. I can imagine this must read as if I�m just coming up with hazy and comforting clich�s, but that�s the way it was. I wondered if I could ever be as clear-headed under similar circumstances. His mind was focused on the next book he hoped to complete, which was to be about baseball. Of course Steve will be well remembered in computationally-flavored scientific circles for getting into colorful and sometimes nasty fights with other theorists of evolution. My sense is that while no one is ready to admit it, all the participants in these fights ended up being somewhat tempered and a synthesis of positions is starting to appear. Steve loved New York and Boston. He adored walking around in each town. He had a favorite diner in Boston- favorite because it was the first to be integrated, and because it was a survivor. He loved walking across the Brooklyn Bridge. He remained devoted to his antiquarian typewriter, completing his big book on evolution just in time. He loved to sing, and frequently spoke of new pieces his choir was rehearsing. He and his wife Rhonda Shearer would host dinner parties in their New York Apartment, and afterwards Steve would take guests into his library and amaze us with tales from the history of science and old science books in his collection. I last saw Steve in his hospital room. He had suddenly become much weaker and could not really speak, but he did acknowledge visitors with a smile and seemed to still enjoy being alive. I was hoping for good news about a grant proposal when I opened my e-mail. Instead, three of five messages read �Stephen Jay Gould Dead�. News of Steve's death spread across the Internet like word of a tragedy in a small town. Expressions of admiration and regret, and anecdotes of careers inspired by Steve's Natural History column streamed in. Most touching was the account by Corwin Sullivan, a teaching fellow in Steve's last class in the �History of Life� at Harvard. �Although his health visibly declined throughout the second half or so of the semester, he did manage to get through the course by�genuinely heroic effort, and I think his success in making it to the end was important to him. I last saw him on the final day of class, about a week and a half ago�he looked terrible�but he gave a great talk on neoteny and human evolution and finished up to a well-deserved standing ovation from the students.� As I read Sullivan's account, I realized that only last March, when Steve must have known he might die, he had taken the time to read my manuscript. Steve's biographical summary is impressive but hardly tells the story: born, New York City, 10 September 1941; A.B. in geology, Antioch College, 1963; PhD in paleontology, Columbia University, 1967; faculty, Harvard University, 1967�2002; died, New York City, 20 May 2002. Steve's obsession with paleontology began at age five during a visit with his father to the American Museum of Natural History. The dinosaurs captivated the brilliant, curious, little boy, so full of possibilities and potential. Steve fulfilled that potential, and the dinosaurs never let him go. His empirical research concerned evolution of Bermudan land snails Cerion spp; however, his interests spanned history, the classics, the Bible, political philosophy, church architecture, popular culture (most famously baseball) and choral singing, all of which he used somehow to illustrate his writing, whether professional or popular. His monthly Natural History columns, 304 in all, formed an unbroken series spanning 27 years�even through his first serious bout of cancer in 1982�and filled ten anthologies (the last published in May 2002 ) that won critical acclaim and made him a best-selling author. His columns, anthologies and other popular books, such as Wonderful Life , which recounted the riddles of the Burgess Shale fauna, placed serious theoretical proposals about the history of life before a larger audience than had any other contemporary writer. He repeatedly took a stand against the use of evolutionary principles for political mischief and became the most visible opponent of the creationists� determination to substitute religious belief for scientific inquiry. Ironically, Steve was only the junior author with Niles Eldredge of their punctuated equilibria paper , one of the most influential scientific papers of the twentieth century. Although the causes they proposed for punctuated equilibria have required revision , the paper shook up evolutionary biology and built the foundation on which Steve constructed his unorthodox views on evolutionary tempo, multiple levels of selection, and historical contingency in evolution, which have become part of a new evolutionary orthodoxy. Steve's other major interest, the relationship between ontogeny and evolution , anticipated the current boom in �devo-evo�. Throughout his career, Steve staked out a territory far from the Neo-Darwinian center of gravity, knowing that his massive intellect still required a very long lever to overcome the field's theoretical inertia. Steve moved the field as nobody else could. Only six years my senior, Steve was already a star by the time I came along. I met him just five times and was always taken by his wit and easy smile. In 1990, he was president of the Society for the Study of Evolution (SSE), and I was its secretary. He took our titles seriously and insisted that I tag along behind him at the annual meeting to fulfill my secretarial duties. I followed obediently, jotting down notes and basking in the light of his reflected glory. Although Steve's election as SSE president pales by comparison to his other honors, too numerous to mention (not least of which was his guest role on The Simpsons), it was bestowed by the society whose members� most cherished theories he had questioned. I will sincerely miss Steve's clever papers and the chance to chat with him again. But I am truly saddened for those closest to Steve, for the other two musketeers , Niles Eldredge and Elisabeth Vreba, who have lost their comrade in arms, for all the Harvard undergraduates who will never sit in Steve's class, for the loss of evolution's most articulate defender before the bar of public opinion, and for budding paleontologists who must seek their inspiration elsewhere. The brilliant, curious little boy grew into a brilliant, curious, insightful and eloquent man. And the dinosaurs never let him go. His was a wonderful life, but one that was over too soon. It's just not fair. Stephen Jay Gould was born in 1941 in New York City, the son of a court stenographer. On a trip to the American Museum of Natural History in Manhattan, Gould saw his first dinosaur, a twenty-foot-high tyrannosaurus. "As we stood in front of the beast," he recounted, "a man sneezed; I gulped and prepared to utter my Sherma Yisrael. But the great animal stood immobile in all its bony grandeur, and as we left, I announced that I would be a paleontologist when I grew up." Since then Gould has become a world-renowned paleontologist and writer. For over thirty years, he wrote the column "This View of Life" for Natural History magazine, in which he demystified academic science for a widespread audience. His ability to make biology relevant to the "here and now" was paramount to his success and popular following. His 1980 book The Panda's Thumb sold more than a million copies in North America alone. Gould explores topics which range from the paper wrapper of a drinking straw to a small tropical snail called the Cerion; he speaks as emphatically about Joe DiMaggio as he does about Darwin. As a scholar, Gould developed and influenced crucial debates of the biological and geological sciences. In Wonderful Life (1989), he examined rare fossils found in the Canadian Rockies' Burgess Shale region, arguing that these fossils represent the "road less taken" in the history of life. His book Questioning the Millennium (1997) discusses the human need to impose "arbitrary demarcations" upon the irregularities of the universe. Through his research Gould became a leading thinker on theories of evolution, devoting much of his writing to his views on this topic. His theory of "Punctuated Equilibrium" showed that evolution does not have to proceed at a snail's pace, but can occur relatively quickly when given the opportunity. For example, when the dinosaurs and most forms of life became extinct 65 million years ago, small, burrowing mammals survived and evolved into modern day mammals. Their evolution sped up because of that sudden event. He believed that evolution does not progress smoothly and gradually, but rather that it proceeds in fits and starts and is often determined by random, chance events. Gould has written hundreds of essays, reviews, and articles. He was a dynamic lecturer and has been praised by Publishers Weekly as a writer who "artfully transports readers through the complex and enchanting realms of the natural world." Gould served as Professor of Zoology and of Geology at Harvard, where he gained a reputation as one of its most visible and engaging instructors. 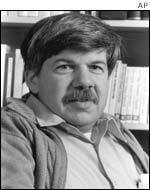 Stephen Jay Gould died in May, 2002. In our sagas, mourning may include celebration when the hero dies, not young and unfulfilled on the battlefield, but rich in years and replete with honor. And yet for me, the passing of Joe DiMaggio has evoked a primary feeling of sadness for something precious that cannot be restored�a loss not only of the man, but also of the splendid image that he represented. I first saw Joe DiMaggio play near the end of his career in 1950, when I was eight and Joe had his last great season, batting .301 with 32 homers and 122 RBIs. He became my hero, my model, and my mentor, all rolled up into one remarkable man. (I longed to be his replacement in center field, but a guy named Mantle came along and beat me out for the job.) DiMaggio remained my primary hero to the day of his death, and through all the vicissitudes of Ms. Monroe, Mr. Coffee, and Mrs. Robinson. Even with my untutored child's eyes, I could sense something supremely special about DiMaggio's play. I didn't even know the words or their meanings, but I grasped his gracefulness in some visceral way, and I knew that an aura of majesty surrounded all his actions. He played every aspect of baseball with a fluid beauty in minimal motion, a spare elegance that made even his swinging strikeouts look beautiful (an infrequent occurrence in his career; no other leading home run hitter has ever posted more than twice as many lifetime walks as strikeouts or, even more amazingly, nearly as many homers as whiffs�361 dingers versus 369 Ks. Compare this with his two great Yankee long-ball compatriots: 714 homers and 1330 Ks for Ruth, 536 homers and 1710 Ks for Mantle). His stance, his home run trot, those long flyouts to the cavernous left-center space in Yankee Stadium, his apparently effortless loping run�no hot dog he�to arrive under every catchable fly ball at exactly the right place and time for an "easy" out. If the sports clich� of "poetry in motion" ever held real meaning, DiMaggio must have been the intended prototype. One afternoon in 1950, I sat next to my father near the third base line in Yankee Stadium. DiMaggio fouled a ball in our direction, and my father caught it. We mailed the precious relic to the great man, and sure enough, he sent it back with a signature. That ball remains my proudest possession to this day. Forty years later, during my successful treatment for a supposedly incurable cancer, I received a small square box in the mail from a friend and book publisher in San Francisco, and a golfing partner of DiMaggio. I opened the box and found another ball, signed to me by DiMaggio (at my friend's instigation) and wishing me well in my recovery. What a thrill and privilege�to tie my beginning and middle life together through the good wishes of this great man. Underwritten by Hoffman Construction Company of Washington. Stephen Jay Gould, one of the most noted evolutionary biologists, paleontologists and essayists of the 20th century, died of cancer on Monday at his home in Manhattan. Gould, 60, was one of the world's greatest science popularizers, and brought life to our ideas about dead creatures. He turned a musty, bone-littered discipline into a joy for readers of his long-running column in Natural History magazine and many award-winning books. Along the way, he tangled with other academics, argued with opponents of evolutionary theory and made people around the world think anew about what walked the Earth before us. His untimely death saddened the scientific community, whose members delighted in Gould's wit, curiosity and intellectual jousting matches with both friends and adversaries. Gould's mind dwelt in prehistory, and he measured time in billions of yearsbut he could be equally thrilled by a solid home run, choir practice and other small miracles. Shortly after his initial diagnosis with cancer in 1982, Gould wrote: ``When my skein runs out, I hope to face the end calmly and in my own way." He died in the Manhattan home he shared with his wife, sculptor Rhonda Roland Schearer. As a man of many words, Gould's passing left his contemporaries searching for the most apt ones to sum up his loss. Born in 1941, Gould was raised as a ``red diaper'' baby in the then-working-class borough of Queens. He was educated in New York City's public school system, where he was called ``fossil face'' by his schoolmates because of his love of dinosaurs. He studied at Antioch College in Ohio and then earned a doctorate in 1967 in paleontology at Columbia University in New York, where he teamed up with fellow scientific wunderkind and biologist Niles Eldredge. Their evolutionary idea, announced in 1972, was sharply at odds with prevailing Darwinian orthodoxy. They argued that evolution moves not with geological slowness, as Darwin had insisted, but in abrupt fits and starts, interspersed with long periods of no changes in species. Although Gould called himself an agnostic inclined toward atheism, he often pleaded for tolerance between the realms of science and religion. Science, Gould wrote, is a search for the facts and laws of nature. Religion is a spiritual quest for ultimate meaning and for moral values that science is powerless to provide. They can flourish side by side like two independent nations at peace with one another, he believed. In July 1982, doctors told Gould that he had eight months to live. With his career in full bloom, he was diagnosed with a rare and incurable cancer called abdominal mesothelioma. Even this bad news became fodder for a writing project: He realized that the medical oddseight months median mortalityrepresented an average for all cases, not the chances of a single individual. He applied this statistical lesson to evolution, contending that life's rich variety is a far more meaningful measure of biological trends than isolated examples. The experience further deepened his appreciation of the fragility of life. And he survived and continued to push the boundaries of scientific inquiry, well past the time the odds had given him. Even throughout intense cancer treatment, he continued to write on subjects that have ranged from snails to the evolution of typewriters, from dinosaurs to Antoine Lavoisier, and from space travel to Joe DiMaggio. His intellectual curiosity is a fond memory for Rita Colwell, director of the National Science Foundation, who said she met Gould about 30 years ago at a conference in Portugal. He invited her to join a group that was going to look at cathedrals. Throughout much of his career at Harvard University, Gould worked in the Museum of Comparative Zoology, laboring beneath the remnants of a 19th-century zoological exhibit. More recently, he split his time in New York City's trendy SoHo district, although he eschewed e-mail and other computer-driven innovations. Even in death, he will leave others with plenty to talk about. Peter Roopnarine, a paleontologist at the California Academy of Sciences in San Francisco, said a lot of Gould's ideas were controversial and are likely to remain that way for years. ``I think we're going to measure his impact on the field not necessarily by how many of his ideas stand up over time, but by the number of ideas he contributed.'' Roopnarine said. Stephen Jay Gould, the outspoken evolutionary biologist whose views on Darwinism made him a bestselling if controversial author, died yesterday aged 60 at his home in New York. He had had cancer for more than 20 years. Professor Gould, a Harvard University academic for 35 years, greatly influenced his field for many decades, delighting and dividing his colleagues with equal passion. With Niles Eldredge, a fellow palaeontologist from the New York Museum of Natural History, he developed an evolutionary theory called "punctuated equilibrium", which postulates that long periods of evolutionary stability are broken by shorter spurts of evolutionary change, perhaps sparked by events such as climate change or a comet impact. The theory contrasts sharply with more traditional evolutionists, who believe evolution is a steady process. His ability to write plainly on such difficult subjects that helped him to reach seamlessly from the world of academia to that of popular publishing. He wrote a series of witty and engaging best-selling essay collections, including "Ever Since Darwin", "The Panda's Thumb", and "The Mismeasure of Man," a study of intelligence testing. Andrew Knoll, a colleague at Harvard University, said: "Most of us just appreciated that in Steve we had someone who put this very positive public face on palaeontology, who was able to reach an audience that most of us would never reach and not nearly so effectively. He really was palaeontology's public intellectual." Professor Gould analysed evolutionary theory with comparisons to a range of disciplines, including popular culture and sports. But it was his belief in "punctuated equilibria" that set him at odds with traditional Darwinists, among them the Oxford zoologist Richard Dawkins. The row was seized upon by creationists, particularly in America, where Professor Gould was intimately involved with the fight against creationist teaching during the 1970s and 1980s in the Deep South. Fundamentalist teaching � which disputes the theory of evolution � reached its height in the US in the 1920s and culminated in the Scopes "monkey" trial in Tennessee in 1925, when John Scopes, a biology teacher, was arrested for teaching evolution in contravention of state law. A second creationist surge occurred in the 1970s, which led to the "equal time" laws for the teaching of creationism and evolution in two states. The rule was later overturned. Professor Gould accused creationists of distorting his theories to undermine Darwinism. "Such inane and basically harmless perorations may boil the blood but creationist attempts to use punctuated equilibrium in their campaigns for suppressing the teaching of evolution raise genuine worries," he said at the time. His most recent book, The Structure of Evolutionary Theory, published earlier this year, is a 1,433-page opus that took more than 20 years to complete and in which he outlines his criticism of the creationists. At a reading at the Harvard Museum of Natural History soon after it was published, he said that when he was diagnosed with cancer in 1982 he believed he had "almost zero chance of finishing it". Professor Gould leaves his second wife, Rhonda Roland Shearer. He also leaves two sons from his first marriage. He died of cancer at his home in New York, according to his assistant Stephanie Schur. A Harvard professor since the age of 26, Professor Gould was also a best-selling author known for his engaging and often witty style of science writing. He sought to make complex debates about geology, palaeontology and evolutionary biology accessible to the general public. Some of his best-known works are Ever Since Darwin, The Panda's Thumb and The Mismeasure of Man. He also championed the teaching of evolutionary science in American schools, despite opposition from creationist lobby groups. Professor Gould is perhaps best known for his views on evolution. He advocated the theory of "punctuated equilibria"the idea that evolution happens in relatively rapid spurts of species differentiation rather than gradual, continuous transformations. Technically his field was fossils but he also taught geology, biology, zoology and the history of science. And he was probably the world's foremost expert on land snails in the West Indies. Professor Gould frequently explained evolutionary theory by using comparisons with a range of other disciplines, including popular culture. "Science is not a heartless pursuit of objective information," he wrote in his book Ever Since Darwin. "It is a creative human activity, its geniuses acting more as artists than as information processors." He used unusual details such as the flamingo's smile or the panda's extra thumb to engage his readers. When describing a type of mite in his book The Panda's Thumb, he wrote: "Fifteen eggs, including but a single male, develop within the mother's body. The male emerges within his mother's shell, copulates with all his sisters and dies before birth. "It may not sound like much of a life, but the male Acarophenax does as much for its evolutionary continuity as Abraham did in fathering children into his tenth decade." In July 1981, when he was only 40, Professor Gould learned he had abdominal mesothelioma, a rare and deadly form of cancer usually associated with exposure to asbestos. He researched the disease and wrote in an article for Discover magazine in June 1985: "The literature couldn't have been more brutally clear. Mesothelioma is incurable." During his illness, he continued to write and teach while undergoing experimental treatment for the disease. Dr. Gould, more than any other scientist of his generation, brought to the public one of science's most fascinating quests: understanding how life came to be and what that saysor does not sayabout human nature. His prolific and sometimes controversial writing made him perhaps the best-known science writer in the United States. He explained evolution much the way Carl Sagan explained astronomy. He was an outspoken foe of creationists, as well as some fellow evolutionists with whom he clashed over differing theories. Critics occasionally grumbled that he was more focused on celebrity and commercialization than on rigorous science. Fans and literary societies praised him for ''opening the floodgates,'' as one of his longtime editors put it, to a whole new genre of writing that brought home to laypeople the increasingly complicated world of science. In 1974, Edwin Barber, senior editor at W. W. Norton & Co., persuaded Dr. Gould to start writing about science for the public after coming across an essay in Natural History magazine in which the young professor mused about the sizes and shapes found in nature, explaining, for example, why elephants have big feet. ''He never wrote down to his audiencehe always respected his audiencebut he was able to translate science by using Gilbert and Sullivan, baseball, and any number of other things from everyday life,'' Barber said. In one memorable analogy, Dr. Gould, a lifelong Yankees fan who nonetheless held season tickets at Fenway Park, compared the gradual disappearance of extreme variation of size or shape in a species to the way .400 hitters have become rarer as baseball achieves a better balance between pitchers and batters, and players cluster around the median batting average. Dr. Gould was not only an advocate of evolutionary theory against creationism, which he once called ''a local, indigenous, American bizarre-ity,'' but he also was a vigorous fighter in the intramural battles among evolutionary scientists. In academia, Dr. Gould was best known for challenging the idea, accepted since the time of Darwin, that life changed gradually, evolving slowly and steadily. Beginning in the 1970s, Dr. Gould and biologist Niles Eldredge argued that the story of life on earth was instead a series of cataclysmic changes, perhaps prompted by the impact of asteroids or climate fluctuations, in which species evolved in quick spurts after long chapters of little change. The theory, called ''punctuated equilibrium,'' started a scientific debate, at times bitter, that continues today. Critics sometimes called it ''evolution by jerks,'' referring to the spasms of change, as well as to the aggressiveness of its proponents. Dr. Gould was a prominent critic of the search for the evolutionary basis of behavior, a field called sociobiology founded by his Harvard colleague and archrival, E. O. Wilson. But he and Wilson shared the naturalist's love of field work among animals and fossils - almost old-fashioned in the era of microbiology. That fascination took Dr. Gould from the relatively mundane West Indian land snails that occupied much of his research to the diverse and often oddly shaped fauna of the Burgess Shale, a fossil bed in the Canadian Rockies. That same determination and zest for life, friends said, kept him working even after cancer struck again about two months ago, invading his lungs and other parts of his body. To help him keep up with his course schedule, his mother, Eleanor, recently came to stay with Dr. Gould in the South End apartment he maintained along with his New York home. Dr. Gould had just published two career-capping works. The first, a 1,433-page academic tome called ''The Structure of Evolutionary Theory,'' detailed, in a sense, the evolution of evolutionary theory. It describes how Darwinism developed and how some of its central assumptions have been challengedwith an emphasis on his own theories. Despite his illness, Dr. Gould made plans to go on tour this month with his latest book: ''I Have Landed: The End of the Beginning in Natural History.'' He was scheduled to sign the book at the Harvard Square Coop today. His most personal book, it took its title from his grandfather's statement upon arriving in the United States from Hungary on Sept. 11, 1901, and touched on moments of childhood wonder that prefigure his own reverence of science and nature. The book is a collection of essays published in Natural History, essays he wrote 300 months in a row. Friends and colleagues said Dr. Gould's loss would be deeply felt, from Harvard, where he spent 35 years after arriving as a relatively unknown professor in his mid-20s, to the Boston Cecilia, a choral orchestral group in which he sang for about 30 years. Dr. Gould's interest in music was nurtured in the public schools of his native New York City, Teeters said. It was a measure of the intellectual ferment of his life that Dr. Gould favored ornate, embroidered Wagnerian operas. ''He really liked the great works that went on for hours because it really gave him a chance to submerge himself in the works,'' Teeters said. In addition to his mother, Eleanor, Dr. Gould leaves his wife, Rhonda Roland Shearer of New York City, two stepchildren, and two sons from a previous marriage, Ethan and Jesse. Funeral arrangements have not been finalized. Gareth Cook and Raja Mishra of the Globe Staff contributed to this report. This story ran on page A1 of the Boston Globe on 5/21/2002. Thirty years ago, Gould and colleague Niles Eldredge, now a curator in the Division of Paleontology at the American Museum of Natural History, publicized the theory of punctuated equilibrium: that evolutionary changes happen in dramatic spurts separated by long periods of stasis. "Thirty years ago, we didn't believe in catastrophes, we didn't believe in sudden evolutionary change. We thought everything was slow and gradual. We don't think that way anymore," Allmon says. "What we teach students now we never would have taught them 30 years ago. He was part of the nexus of all that." From 1974 to 2001, Gould wrote a monthly column in Natural History magazine. These columns and many of his books were written for and reached a broad audience. "To me the greatest loss is of someone who could communicate with the general public so clearly about science," says Eugenie Scott, executive director of the National Center for Science Education, an organization that works to support the teaching of evolution in U.S. schools. Gould was born on Sept. 10, 1941, in the borough of Queens in New York City. He earned his bachelor's degree in geology in 1963 from Antioch College in Ohio. After he earned his doctorate in paleontology from Columbia University in 1967, he joined the faculty at Harvard where he remained for the rest of his career. He was also curator of invertebrate paleontology at Harvard's Museum of Comparative Zoology. Some of his award-winning books were The Panda's Thumb, which earned the National Book Award in 1981; The Mismeasure of Man, recognized with the National Book Critics Award in 1982; and Wonderful Life, which won the Rhone-Poulenc Prize in 1991. "He had a phenomenal knowledge," says Stephen Stanley, a paleontologist at Johns Hopkins University, president of the American Geological Institute, and one of Gould's contemporaries in developing theories about evolution. "That's why his writing entertained people. He was a very impressive writer and speaker. With his knowledge and his ability with the language, he had an enormous influence. I think he popularized paleontology for the literate public. He made the reading public more aware of evolution and paleontology, and performed a service." "Go study at Harvard with the 'boy genius'!" my college adviser told me as I was applying to paleontology graduate programs. That was in 1974, when at age 33 Stephen Jay Gould was already a full professor, having joined the Harvard geology faculty at age 26, and when his most famous offspring, the theory of "punctuated equilibrium," was a mere toddler. Steve taught his students always to question established ideas. He taught us to look for anomalies. He taught us that "things are seldom what they seem" (a Gilbert & Sullivan line that he used as a title of a paper on the origin of evolutionary trends). He taught us to make connections between disparate fields, for who knows when major-league batting averages, architectural details, words of scripture, or cartoon characters might shed light on some important question about the history of life. He taught us to love words, and he invented new ones for us to learn. Steve taught his colleagues in paleontology and evolutionary biology new ways of looking at the fossil record, the history of life and the evolutionary process. He and colleague Niles Eldredge proposed the theory of punctuated equilibrium in 1972, and taught us that Darwinian gradualism might not be the proper paradigm for evolution. Much of life (how much is still hotly debated) has evolved by punctuated equilibrium, in which most evolution is concentrated in geologically rapid bursts of species formation. He taught us that adaptation by Darwinian natural selection is not the only process in evolution. He taught us that large-scale evolutionary trends might not accumulate from short-term directional change. He taught us about the power of contingency in evolution. He taught us that evolution may occur at different "tiers" above the level of the individual. He challenged us, he annoyed us, he enraged us, he galvanized us, he converted us. We didn't always agree with him, but we always listened to him. Steve visited me at the University of North Dakota seven years ago, where he gave a talk at my annual department banquet. He didn't want to tour the university; he didn�t want to socialize with faculty and administrators. He said, "You know what interests me. Show me around." So we drove around the prairie, talking about the role of extinction in evolution (my current research topic and an abiding interest of Steve's). We admired the 1880s church at Inkster, where my husband was minister, and Steve played the organ and I sang hymns. We got the bank president in Forest River to unlock the bank and show us the art deco interior. Mary Lou cooked us breakfast at the Gilby Caf�. And I knew that Steve was mentally recording every detail, to be used to clarify some evolutionary phenomenon in a future essay or article. In October, Stephen Jay Gould will receive posthumously the Paleontological Society's highest honor, the PS Medal. Normally this award is given to a retired paleontologist in recognition of a lifetime of achievement. No one had nominated Steve, because no one realized how close he was to the end of his lifetime. We had assumed that he would continue to challenge our thinking and mold our science for years to come. But the Paleontological Society Council learned of his illness a few days before our spring meeting and immediately recognized the appropriateness of honoring Steve with this award. When I spoke to him a few days later, Steve expressed delight that his colleagues wished to honor him in this way. Stephen Jay Gould will be honored 15 years after serving as the Society's president, and 27 years after receiving the PS Schuchert Award, given to "a person whose work early in his or her career reflects excellence and quality." The "boy genius" is gone, a victim of cancer at age 60. But his genius will remain, inspiring future generations of students, scientists and all those interested in the history of life to look for anomalies and question dogma as we examine the wonderful life around us. Patricia H. Kelley is president of the Paleontological Society and one of Gould's graduate students. Kelley is chair of the department of earth sciences at the University of North Carolina at Wilmington. BOSTON (Reuters)Paleontologist Stephen Jay Gould, who unlocked the mysteries of evolution for millions of readers with essays on the panda's extra thumb and helped bring natural history museums to popular audiences, died on Monday at his home in New York after a long battle with cancer. Some of Gould's best-known works are Ever Since Darwin, The Panda's Thumb, which won an American Book Award in 1981, and "The Mismeasure of Man," which won the National Book Critics Circle Award for 1982. In The Panda's Thumb, discussing a type of mite, he wrote: "Fifteen eggs, including but a single male, develop within the mother's body. The male emerges within his mother's shell, copulates with all his sisters and dies before birth. It may not sound like much of a life, but the male Acarophenax does as much for its evolutionary continuity as Abraham did in fathering children into his 10th decade." The American Museum of Natural History mourns the death of Stephen Jay Gould, one of the most influential paleontologists and evolutionary biologists of the late 20th and early 21st centuries. Dr. Gould's long-standing association with the Museum began as a doctoral student in the joint American Museum-Columbia University program working under the advisement of the eminent paleontologist and Museum Curator Norman Newell. As a student he also began a lifelong collaboration with Niles Eldredge, now Curator in the American Museum of Natural History's Division of Paleontology, on the theory of punctuated equilibrium. The theory argues that evolutionary history is a pattern of rapid shifts followed by stasis rather than a slow and steady process of change. His association with the Museum continued with his regular contributions to Natural History magazine between 1974 and 2001, resulting in over 300 essays, many of which were collected in books such as Ever Since Darwin and Bully for Brontosaurus. He was also named the Frederick P. Rose Honorary Curator in the Museum's Division of Paleontology. Gould began teaching at Harvard University in 1967 where he spent his entire career. At Harvard he held the titles Alexander Agassiz Professor of Zoology, Curator of Invertebrate Paleontology in the Museum of Comparative Zoology, and Professor of Geology. He was also Vincent Astor Visiting Research Professor of Biology at New York University. His honors included the prestigious Schuchert Award for excellence in paleontological research by a scientist under 40, the MacArthur Foundation "Genius" Fellowship, and "Scientist of the Year" by Discover magazine for the theory of punctuated equilibrium that he co-authored with Niles Eldredge. Gould was also a frequent contributor to Discover magazine. He served as the President of the Paleontological Society and President of the American Association for the Advancement of Science. Gould won the National Magazine Award for Essays and Criticism in 1980 and in 1981 received both the American Book Award for The Panda's Thumb and the National Book Critic's Circle award for The Mismeasure of Man. His other books include The Flamingo's Smile, Hen's Teeth and Horse's Toes, An Urchin in the Storm, and Wonderful Life: The Burgess Shale and the Nature of History and his recently published comprehensive volume The Structure of Evolutionary Theory. Gould regarded himself primarily as an evolutionary biologist, where his queries explored subjects from fossils to growth and development, speciation, extinction, adaptation as well as many more facets of the field. As a writer of science, philosophy, and history his interests embraced a great range of issues pertinent to both science and society. He wrote with passion, facility and clarity about such topics as racial stereotyping, the human genome, health and longevity, evolution and creationism, art, poetry, music, and baseball. While a highly influential scientist in the areas of his specialty, he also made, through his writing and speaking, an unparalleled connection to the public concerning many aspects of science and its impact on humanity. BOSTON (AP)Stephen Jay Gould was remembered as "paleontology's public intellectual," a scientist with a passion for evolutionary science and a talent for expressing complex theories in creative and accessible ways. Gould, 60, died Monday of cancer at his home in New York City, according to his assistant, Stephanie Schur. A prolific author known for the accessibility of his writings, Gould was also willing to debate his ideas, some of which challenged theories of Charles Darwin that had been widely accepted for more than a century. Gould participated in public debates with creationists, becoming an enemy to some of them. He aired his disagreements with other evolutionary theorists in publications such as the New York Review of Books. The exposure brought evolutionary theory to a wider intellectual audience. "He really was paleontology's public intellectual," said Andrew Knoll, a colleague of Gould's at Harvard University for 20 years. University President Lawrence H. Summers said he was "deeply saddened" by Gould's death. "The Harvard community and the world of science have lost a brilliant scholar whose research helped redefine our notion of who we are and where we came from," Summers said. As graduate students at Columbia University in the early 1970s, Gould and Niles Eldredge ignited a scientific debate that continues today. For a century scientists had viewed evolution the way Darwin did, as an incredibly slow process that could only result in dramatic change over eons. But in their studies of fossil land snail shells in Bermuda, Gould and Eldredge thought they saw a different pattern. They saw bursts of change, relatively rapid on the geologic time scale, interspersed with long periods of stasis. The young scientists suggested that evolution proceeds in fits and starts, a pattern they dubbed "punctuated equilibrium." Gould spent years trying to convince his colleagues that the idea has merit. Many were swayed, but some still reject the notion. "It's still a fight," said Eldredge, now a curator of invertebrate paleontology at the American Museum of Natural History. Gould, the author of a long-running column in Natural History magazine and numerous books, was one of the most popular science writers of his time. His book "The Mismeasure of Man" won the National Book Critics Award in 1982 and was No. 24 on the Modern Library's list of the 100 greatest English-language nonfiction works of the 20th century. "He was one of the most creative and original thinkers about evolution that I ever knew," Harvard biologist and longtime colleague Richard Lewontin said. Gould called human evolution "a fortuitous cosmic afterthought." Known for the engaging, often witty style evident in his columns and collections, his more recent popular books included "Dinosaur in a Haystack" and "Rocks of Ages: Science and Religion in the Fullness of Life." "The Structure of Evolutionary Theory," a 1,500-page summary of his life's work, was published earlier this year. His most recent book, published just this month, "I Have Landed: The End of a Beginning in Natural History," is a collection of his 300 consecutive Natural History essays published monthly without fail from 1974 to 2001.
he thought of himself as an interpreter of science," Baltimore said. Gould frequently used his ideas about evolution to examine other topics that interested him, from his successful fight against a cancer diagnosed in 1982 to the demise of the .400 hitter in baseball. A longtime New York Yankees fan, he appeared in Ken Burns' PBS documentary history of the sport and in 1999 wrote an obituary tribute to Joe DiMaggio for The Associated Press. He was an amateur singer, practicing every Monday night for many years with the Boston Cecilia choir, Knoll said. He also portrayed himself in an episode of " The Simpsons." Gould received his bachelor's degree from Antioch College in 1963 and a doctorate from Columbia University. Survivors include his second wife, Rhonda Roland Shearer, and two stepchildren, said one of his assistants, Gina Guerra. He also had two sons with his previous wife, Guerra said. Stephen Jay Gould, who died on Monday, belonged to no particular scientific sect and founded none. Almost all his battles were fought on his own. But the happy elegance of his style and the bewildering range of his interests allowed him to recruit the sympathies of every benevolent, well-read humanist to his various causes. No wonder he was hated so. He was the scientist for the rest of us. He gave as good as he got in his long feud with the "Darwinian fundamentalists," as he called his opponents. This term, an inspired piece of polemical mudslinging, showed that what his own invective lacked in quantity, it made up in quality, since one of the defining characteristics of the sociobiologists he was attacking was their rather Victorian atheism, and their conviction that the worst sort of human being in the world was a fundamentalist Christian. It's hard to think of any scientist who has managed to combine Gould's professional excellencefor you do not get to be a senior professor at Harvard by being an industrious windbagwith his gifts as a popularizer. As a paleontologist, Gould dealt with an obscure family of Bahamian land snails, and collaborated most famously with the trilobite expert Niles Eldredge. As a popularizer, he wrote enchantingly about subjects from bacteria to baseball. Perhaps the person he most resembled in this was Bertrand Russell, who also spent his professional life on subjects of arcane difficulty, increasingly isolated from the activities of his peers, and who earned his living with high-class journalism and popular histories. Russell, who won an unlikely Nobel prize for literature, was the better stylist (and the bigger fool, as reading his essays on current affairs makes clear today). But both men managed to make hard thought look easy and fun. What made Gould unique, both as a scientist and as a popularizer of science, was that he had a historian's mind and not an engineer's. He liked mess, confusion and contradiction. Most scientists, in my experience, are the opposite. They are engineers at heart. They think the world is made up of puzzles, and somewhere out there is the one correct solution to every puzzle. This was the kind of confidence that Gould spent his polemical life trying to puncture. He knew equations; he could do statistics, but one of the reasons for his popularity among nonscientists was surely his belief that life could not be reduced to equations. In three places in particular he attacked the belief that there were reliable equations for everything. Perhaps the most deeply felt, and the most likely to be wrong, was his attack on I.Q. as a measure of intelligence in any interesting sense, in "The Mismeasure of Man." Controversy still roils around that book, which was illuminated by the knowledge that the most popular early use of I.Q. tests had been to think up ways to keep out people like Gould's Jewish immigrant grandparents. Punctuated equilibrium, Gould's paleontological theory formulated with Niles Eldredge, was a more subtle attack on the hegemony of equations. What it says is that the gradual steady change that the equations of population biologists predict would be happening all the time under the gentle pressure of natural selection is not found in the fossil record because it is not found in nature. Species, Gould believed, have an existence of their own, which cannot be understood or calculated solely by looking at their genes. They have births, deaths and descendants, and in between birth and death they are stable for millions of years. He did not believe that the transitions between species took place faster than Darwinism would predict, but rather that they were rarer than the simple application of gradualist theory would predict. Actually disentangling how much of this is controversial is an extraordinarily complicated task. Obviously the fossil and historical record shows that the emergence of new species is a jerky process, more frequent at some times than others; but it is still not clear whether these irregularities are just noise, or, as Gould believed, a signal of deeper forces at work. But he posed the question and it hasn't gone away yet. His greatest polemical triumph was his attack, with his friend Harvard biology professor Richard C. Lewontin, on the idea that all the features of the organisms we see around us are best understood as adaptations. Using the examples of "spandrels"small curved triangles that appear as a side effect when you build a dome around four arches, but which were then exploited by Renaissance fresco paintersthey argued that many features of organisms are there simply as unselected side effects of some other feature that has itself been selected for. Not everything we see in the world has been streamlined by natural selection. The deep strength of this argument is that it suggests how the inefficiencies of natural selection can themselves provide the raw material for more selection: The origins of birds' feathers were almost certainly as devices to radiate heat. Their ability to shift air was originally a spandrel of their radiating function, but one on which a whole new set of functions could be built. All these ideas, and innumerable others, are developed in Gould's last bookand testament"The Structure of Evolutionary Theory." It was published shortly before his death, though it remains unfinished in the sense that it is 1,400 pages long, and if he had lived he would surely have shortened it by half; it ranges over the whole of evolutionary controversies from Darwin up to Gould. At one stage, he takes up the cudgels against Daniel Dennett again, quoting Schiller, who first said, "Against stupidity, the Gods themselves contend in vain." But he quotes it in the original German, and that gives a measure of his breadth of extra-scientific interest. He could be an intolerable showoff, but he had done an enormous amount to show off about and he was almost certainly the only guest voice on "The Simpsons" who would quote Schiller in the original, to squelch an enemy. Gould's death leaves a void; and it dramatizes anew how important it is to have popularizers of science. This role was played by Carl Sagan and Isaac Asimov, CSICOP Fellows of the past. We need to encourage today new and daring defenders of science, gadflies in the name of critical inquiry; interpreters able to extend the public's understanding of science and its methods. All too few scientists and scholars today are willing to venture beyond their specialties in order to communicate with a wider audience. Gould offered his own often controversial theories on how evolution occurredsuch as his punctuated equilibrium hypothesisand he suffered criticisms as a result. A veteran polemicist, he stood his ground in many debates with scientific colleagues. Throughout, he demonstrated that science grows by constant questioning, and peer review. Stephen Jay Gould was a Fellow of the Committee for the Scientific Investigation of Claims of the Paranormal and a recipient of its highest "In Praise of Reason" award. He was a frequent speaker at our conferences. He will be sorely missed. We had lost one of these rare ministers and interpreters of Nature whose names mark epochs in the advance of natural knowledge... It is curious now to remember how largely, at first, the objectors predominated; but considering the usual fate of new views, it is still more curious to consider for how short a time the phase of vehement opposition lasted. Science is desperately short of great popularisers. It also needs intelligent sceptics prepared to challenge accepted beliefs. In Stephen Jay Gould, it had both. The world of science is the worse for his loss. As a populariser of science, Gould had few equals. His unbroken run of 300 monthly essays, which appeared between 1974 and 2001 in Natural History magazine, and which were reprinted in several best-selling books, were masterpieces in the genre. In his best essays, Gould would often start with some small, seemingly obscure detail, then lead the reader through various twists and turns until the chosen detail became an illustration of a far wider scientific generality. En route, he would destroy myths, restore scorned historical figures to their rightful places in the scientific pantheon, wax lyrical about baseball, and occasionally slip in favourite Gouldian words such as canonical, maximal, contingency, ontogeny and exaptation. On reaching the end of a Gould essay, you would often feel (as Thomas Henry Huxley did after reading Origin of Species) how stupid of me not to have thought of that! You rarely, if ever, came away from a Gould essay without feeling just that little bit cleverer than before. As a sceptical challenger of generally accepted scientific beliefs, Gould also had few equals. He was an outspoken critic of strict adaptationismthe tendency to describe just about every biological feature you care to name as a Darwinian adaptation. Instead, Gould claimed, many such features were merely incidental by-products of other adaptations (or, to use the metaphorical term he devised for them, spandrels). With Niles Eldredge, Gould also developed the theory of punctuated equilibria, which claimed that the gaps in the fossil record that so embarrassed Darwin are often real, that evolutionary change is not always constant and gradual, and that species tend to evolve in relatively brief periods of rapid change separated by longer periods of relative stasis. Critics have tried to dismiss Gould's science as unremarkable, unoriginal, or just plain wrong. They have accused him of caricaturing their views, setting up a straw men which are easy to knock down. Many of these critics, it must be said, are not above caricaturing Gould's own views. Straw men or not, Gould did evolutionary science a great service by arguing convincingly that there does not have to be a one-size-fits-all solution to everything: life is far more wonderful than that. Gould's death leaves a noticeable gap in the world of science. No doubt his detractors will claim that the gap is illusory, but as Gould himself so often pointed out, sometimes gaps really are gaps. He was a pudgy man, even as a 20-something, and the quintessential geekI never saw him without a shirt pocket crammed full of cheap plastic pens. The first time I met him, he came to a party in my freshman dorm; famous faculty members didn't do that sort of thing. But in those days, he was just a rising star, new to the faculty, but on the charts with a bullet. I knew as much about paleontology as I do about Urdu, but Stephen Jay Gould was more than willing to try to lead me out of invincible ignorance, in a conversation that ranged from rocks and fossils to the depredations of Richard Nixon. I was not one of his thousand closest friends; I was not one of his ten thousand closest friends. Except for a brief encounter on a Manhattan sidewalk a few years ago, I had hardly seen him at all since I left college. But I never lost sight of the fact that Steve Gould was as close to the perfect public citizen as anyone who ever entered my life. Lacking tenure, or a bankable reputation, he sided with students who opposed the Vietnam War, when junior faculty brown-nosers were looking the other way. His expertise on Bahamian snails would have secured him a cushy lifetime berth at Harvard; he didn't need to expend energy and brainpower proving the intellectual bankruptcy of racism, but he did, because it was right. He was an atheist who served as a scientific advisor to the Pope: it was a simple matter of respecting the right of others to believe as they will, and giving them the best information available to make their choices. Gould was one of several teachers who taught me to be a skeptic, to question, to wonder. Just to be exposed to someone who challenges authorityin science, in culture, in politics and governmentis the greatest gift a young student can receive. There was a grandeur to Steve Gould's view of life, and to his own life: in politics as in science, he knew right from wrong. From so simple a proposition, the most beautiful and most wonderful ideas are evolved. 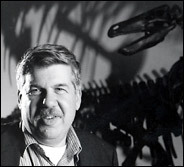 Members of the paleontological community were saddened to learn of the death of Stephen Jay Gould on May 20, 2002. Steve Gould's contributions to our field were enormous, changing the way we look at the fossil record, the history of life, and the evolutionary process. Steve was unmatched in terms of communicating the excitement of our field to other geoscientists and to the public. The Paleontological Society will host a retrospective on the life and work of Stephen Jay Gould at the Geological Society of America meeting in Denver, on October 28, 2002. This event will follow the PS Business Meeting, at which Gould will receive posthumously the Paleontological Society's highest honor, the PS Medal. The Paleontological Society Council learned of Steve's illness a few days before our spring meeting, enabling us to honor him with this award and to let him know that his colleagues wished to honor him in this way. Gould's widow, Rhonda Roland Shearer, will be present to accept the award and colleague Niles Eldredge will be the citationist. Following the Business Meeting, including the awarding of the Medal, we will reconvene for the Special Event, "Remembering Stephen Jay Gould." Students and colleagues of Gould will share their perspectives on his life and work. Participants in the program include Roger Thomas, Elisabeth Vrba, Richard Bambach, David Jablonski, Charles Marshall, and Linda Ivany. Warren Allmon has prepared a PowerPoint review of the life of Stephen Jay Gould. Though diagnosed with mesothelioma 20 years ago, Gould died in May evidently of another, undetected cancer. He is survived by his second wife, Rhonda Shearer, and two sons from his first marriage, Jesse and Ethan. His incredibly prolific output as a writerhe authored more than 20 books, 300 columns in Natural History magazine and nearly 1,000 scientific papersamazed everyone who strings words together for a living, as did his encyclopedic knowledge of, well, apparently everything. Scientifically, Gould is probably best known for his work with Niles Eldridge on the Darwinian variation he termed punctuated equilibrium, in which new species arise swiftly after long periods of stasis. (Critics in favor of a more gradual and consistent evolutionary history called Gould's viewpoint "evolution by jerks." He fired a salvo back by referring to the critics' stance as "evolution by creeps.") And he brought the same passion that he had for evolutionary theory to his analysisand to his fandomof baseball. He dissected the reasons no one has hit .400 in the major leagues since Ted Williams did so in 1941. Indeed, in my encounters with him, we were as likely to discuss the statistical improbability of Joe DiMaggio's 56-game hitting streak as the plasticity of the genome. At a memorial service, his son Ethan talked about how much the two of them enjoyed games together at Boston's Fenway Park. Stephen Jay Gould led a large, loud life. He had titanic battles with creationists and fantastic feuds with other scientists. He left millions of words for readers to ponder. And he was also just a guy who loved watching a ballgame with his son.